There is no doubt about it. Charlotte is becoming a global city-state! We have prepared our region for a future of greatness. We need to make sure we perform to pursue, deliver, maintain and continue to than change process for the benefit of everyone in our community. We need to ensure that there are pathways for upward mobility delivering smart, capable, intelligent, talented, innovative contributors to our business growth. We must be inviting and welcoming to those who can participate and contribute even more to our success. It is essential that we appreciate and celebrate diversity and inclusivity. 6 Reasons Everyone is Moving to Charlotte! The Charlotte metro is the fastest-growing in the United States. From 2009-2014, 634,000 people people moved into the area — that’s a 36.4% growth rate, the fastest in the nation. But that’s nothing new: over the past decade, 888,000 people have moved to the Charlotte metro, a growth rate of 59.6%, making Charlotte the fastest growing for that time period as well. Our infographic explains what’s drawing so many people to the area. It is clear from our strengths that North Carolina has huge potential for growth and economic development and is, in fact, the best place for business and investment in the Southeast. It is equally clear that the state’s economic development activities have become disrupted by politics and its economic incentives less competitive than those of other states. It is imperative that North Carolina seek and take advantage of economic development opportunities to remain globally competitive and essential that community leaders become knowledgeable ambassadors of economic development, stepping into the void and reaching out to connect interested parties with valuable opportunities. Lately, I’ve found a similar principle applies to immigration. No matter what topic is being discussed online, if the conversation goes on for long enough, someone will inevitably tie it back to immigration. Immigration has always been an important and frequently debated issue. And for many current events, the connection with immigration is clear, for example: terrorism / ISIS, the Brexit, Donald Trump and this year’s presidential race, the refugee crisis. But at some point in the last year or two, I started noticing immigration being mentioned in connection with all sorts of topics I would never have expected. Time to BOOST NC Economic GROWTH! The more things change—well, the more things change—but the end results may be the same, at least where U.S. immigration policy and the Trump Administration are concerned. In President Trump’s first 100 days in office, the Oval Office has seen a flurry of activity, including leaked Executive Orders, Executive Actions, government announcements and litigation. President Trump’s desire to make good on his 10-point immigration platform campaign promise is apparent: Build the wall; End “catch and release”; Create a deportation task force and focus on criminals in the country illegally; Defund sanctuary cities; Cancel President Obama’s executive actions; Extreme vetting; Block immigration from some nations; Force other countries to take back those whom the U.S. wants to deport; Get biometric visa tracking system fully in place; Strengthen E-Verify, block jobs for the undocumented; and Limit legal immigration, lower it to “historic norms,” and set new caps. On Friday, January 27, 2017, President Trump took his first step in securing U.S. borders by signing an Executive Order titled “Protecting the Nation from Foreign Terrorist Entry into the United States,” relating to visa issuance, screening procedures, and refugees. It immediately suspended immigrant and nonimmigrant entry of nationals from certain designated countries for 90 days. Designated countries included Iran, Iraq, Libya, Somalia, Sudan, Syria, and Yemen. Although the Order went into immediate effect, it failed to define what it means to be “from” a designated country and whether green card holders were also subject. This caused mass confusion on the part of U.S. immigration inspectors, airline personnel as well as foreign national travelers, many of whom were already in transit to the U.S. What followed was a slew of government announcements attempting to provide additional guidance to address the Order’s shortcomings. Inevitably, federal litigation ensued with Washington and Minnesota challenging its authority, and the travel ban was suspended. Undeterred, President Trump signed another Executive Order on March 6, 2017, replacing the one signed in January. The new version banned citizens of six (6) majority-Muslim nations including Iran, Libya, Somalia, Sudan, Syria, and Yemen and was more narrow in scope than the initial Order, as it did not extend to current visa holders, lawful permanent residents (“green card” holders), or Iraqi nationals. Implementation of this revised Order was quickly halted by federal courts. Hawaii and Maryland district courts issued two temporary restraining orders opining that the Muslim and refugee bans will be found unconstitutional based on discriminatory intent that violates the First Amendment. The suspension of the revised Order has now been in place since March 16, 2017. But the Trump Administration has not given up. A March 17, 2017 Department of State cable directs U.S. embassies to identify populations warranting increased scrutiny and toughen screening for visa applicants from those groups. This extreme vetting will tax existing consular resources and likely result in increased government processing times and reduced visa appointment availability. In addition, U.S. Citizenship & Immigration Services (USCIS), the Department of Homeland Security agency administering benefits, suspended its premium processing service for the H-1B visa category, a category upon which many U.S. employers rely to obtain and keep the best global talent. Premium processing allows these U.S. employers to pay an additional filing fee of $1,225 for expedited processing of certain employment-based petitions. When faced with regular processing times of 6 to 8 or more months, premium processing is often the only way to obtain a timely approval for those needing permission to work and travel. The suspension will frustrate U.S. employers’ ability to attract top talent, with foreign workers (many U.S. degree holders) opting to pursue jobs in more immigrant-friendly countries. On the horizon, U.S. employers should expect increased numbers of worksite visits and audits by U.S. Immigration & Customs Enforcement, the Department of Labor and the U.S. Citizenship & Immigration Services Fraud Detection and National Security program. Those employers with appropriate, up-to-date compliance policies and procedures will be in the best position to avoid potentially stiff civil and potential criminal penalties and a tarnished public image for employing unauthorized workers. Change isn’t easy. The Trump Administration has discovered that implementing the changes it desires is no simple task. However, the Administration appears determined to achieve its agenda one way or another and is willing to change its approach to accomplish what it has set out to do. In the meantime, stay tuned. No doubt, there is more change to come. The information contained in this article is not, nor is it intended to be, legal advice, nor does it create an attorney-client relationship. You should consult an attorney for advice regarding your individual situation. Content contributed by Jennifer L. Cory, J.D., a N.C. Board Certified Immigration Law Specialist and partner in the Garfinkel Immigration Law Firm specializing in employment-based immigrant and nonimmigrant petitions. For more information, contact her at 704-626-6396 or jennifer.cory@garfinkelimmigration.com or visit www.GarfinkelImmigration.com. Secure the Southern Border. Trump favors building a border wall between the U.S. and Mexico, and asserts that Mexico should pay for it or be subject to adverse action from the U.S. government including impounding remittance payments sent to Mexican families from undocumented workers in the U.S. (requiring wire transfer customers to prove legal status in the U.S. to wire money abroad), increasing visa fees for Mexican CEOs and diplomats, increasing fees on all border crossing cards, increasing fees on NAFTA visa applications by Mexicans, and increasing fees at U.S. ports of entry. Increase Enforcement of Immigration Laws. Trump has proposed increasing the number of ICE (Immigration & Customs Enforcement) officers, implementing nationwide usage of the E-Verify system to verify workers’ identity and work authorization, mandatory deportation of foreign nationals with criminal convictions, requiring detention rather than catch-and-release, defunding sanctuary cities (jurisdictions that have laws or practices in place to limit their assistance to federal immigration officials), increasing penalties for individuals who overstay their allowed time to be in the U.S., cooperating with local gang task forces, and ending birthright citizenship. Focus on Helping American Workers. 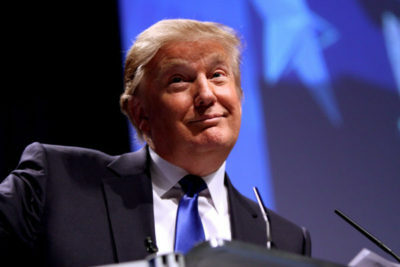 This prong of Trump’s plan includes long-term reform for legal immigration such as raising the prevailing wage for H-1B petitions, hiring unemployed U.S. workers before recruiting foreign workers, eliminating the J-1 visa (work and study exchange visitor) and instead offering similar job opportunities to inner city youth, and ending welfare abuse by requiring foreign nationals to certify the ability to pay for housing, health care, and other needs before entering the U.S. While these three prongs made up the backbone of Trump’s formal immigration plan, he has also proposed other actions, including ending Obama’s executive actions which benefit the undocumented. This would include terminating Deferred Action for Childhood Arrivals (DACA), which has provided work authorization for approximately 700,000 recipients. It is unknown whether the Trump administration will terminate existing grants of DACA as of a set date, or instead let DACA recipients continue working through the expiration of existing work authorization. Administrative programs like this have never been used for deportation in the past, so those who have already received or applied for DACA will not necessarily be targeted for deportation. Trump has also proposed renegotiating NAFTA and possibly eliminating the TN work visa category for Mexicans and Canadians, suspending U.S. visa issuance to people where adequate screening cannot occur, ensuring foreign nationals are taken back by their own countries when deported from the U.S., fully implementing an entry and exit biometric system at all land/air/sea ports, ending job and benefits attractions for undocumented immigrants, vetting and ideological screening for admission to ensure individuals share America’s values, and reform legal immigration to historic norms. 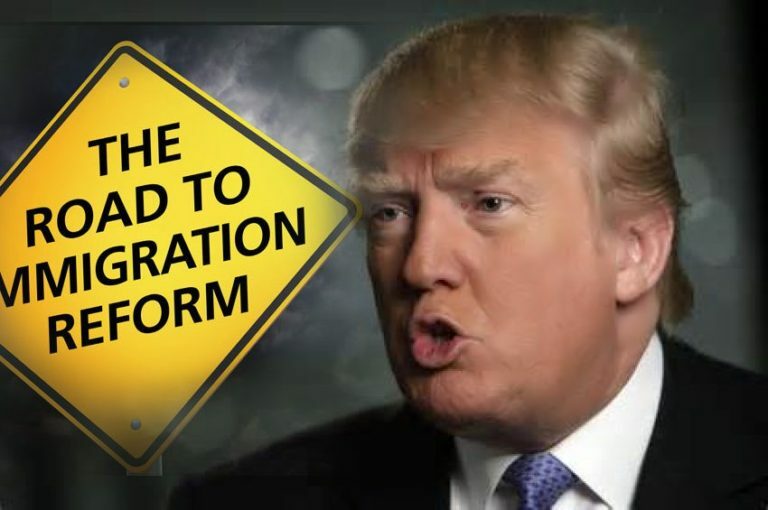 The Center for Immigration Studies (CIS), an anti-immigration organization, helped Trump craft his immigration plan and earlier this year released a list of 79 actions the next president can take without necessarily needing legislative action to change the immigration laws. These actions focus on restricting and/or terminating certain benefits, reform of existing visas, and increasing enforcement, both in investigations/audits and prosecution/fines. The CIS also recommends collection of mandatory DNA samples from permanent resident applicants. However, many of the CIS recommendations aren’t feasible without major repercussions to the current system and Trump has already started to somewhat soften his stance on immigration. In a 60 Minutes interview after the election, Trump conceded that the promised wall between the U.S. and Mexico may end up being a fence in some places. He also indicated his priority is to deport 2 to 3 million immigrants with dangerous or criminal records, rather than the 11 million undocumented immigrants targeted during the campaign. Over 2 million people have been deported under President Obama’s time in office. Trump is also currently building his cabinet, which includes appointing a new Secretary of the Department of Homeland Security, the parent organization of U.S. Citizenship & Immigration Services, the benefit arm, and Immigration and Customs Enforcement, the enforcement arm. If Trump does direct widespread deportation and a southern border wall, the secretary will have to carry it out. Based on Trump’s campaign promises, there will be directives issued to change the way the current immigration system is run, and those changes will likely be more restrictive and carry more penalties than current policy. It remains to be seen whether he will implement all of the actions enumerated in his pre-election plan, but we’ve already seen some relaxing on issues and small moves toward a political center. Some of the proposed actions can be done rather quickly, such as reversing President Obama’s executive actions. But major changes will take longer, and some proposed changes, such as the creation of an ideological screening system for admission, will likely face constitutional challenges. At this point the extent of change is unknown and since Trump is more unpredictable than other presidents, much will remain unknown until his term begins. Content contributed by Meredith W. Barnette, a partner in the Garfinkel Immigration Law Firm who represents employers and employees in a variety of industries including, but not limited to manufacturing, information technology, medicine and academia. She has extensive experience in the preparation of nonimmigrant visa petitions as well as extraordinary ability, outstanding researcher and multinational executive and manager immigrant petitions. She also supervises the firm’s global (non-U.S.) practice and the PERM process for lawful permanent residence. 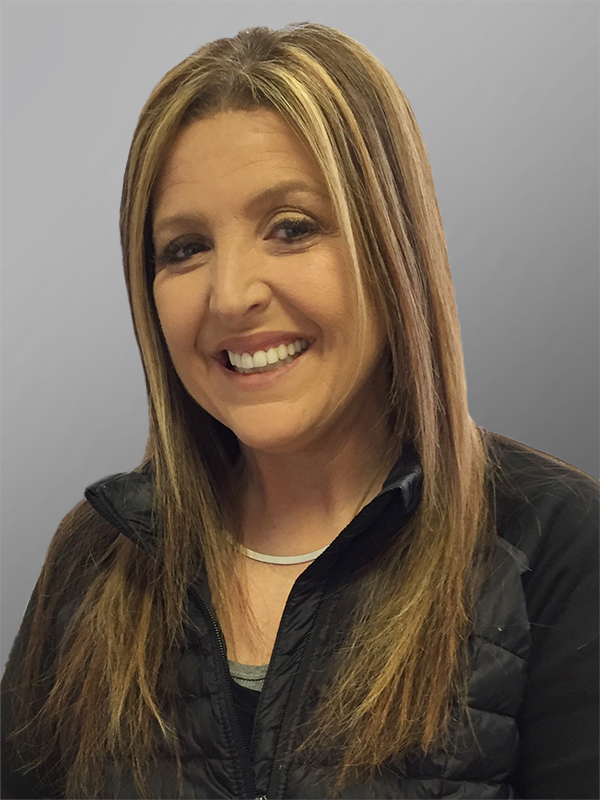 For more information, contact her at 704-442-8080 or meredith.barnette@garfinkelimmigration.com or visit www.GarfinkelImmigration.com. …but WHAT IF NO ONE READS IT?? Just write a compelling subject line that gets more opens, right? Well, yes—getting your prospect to open your email is obviously critical to your email marketing success. But the most successful subject lines don’t just entice your prospect to open your email—they pave the way for more clicks and leads. But the next step matters more. Both paths start with an open. But only the first one delivers you a lead for follow-up. So how do you avoid the OPEN → DELETE trap? More eyeballs on your message is a good thing, right? Most of the time, yes. The more prospects you can get to open your email, the larger the pool of potential clickers. But not all opens are equal. Some are “bad opens”—low-value prospects who will never click your email or buy anything from you because they don’t have the need you’re trying to fill. They’re a surefire recipe for OPEN → DELETE. Others are “good opens”—prospects who could actually benefit from what you’re offering, and might actually READ your email and CLICK the link. Those are the opens you want. So how do you craft a subject line that paves the way for more good leads? As you can see from our imaginary Relevance Meter, vague subject lines (even catchy ones) don’t do a very good job of speaking to any particular prospect, or getting the rights ones to open your email. Sure, you might get some opens, but who knows whether they’ll actually be interested in what’s inside. Developing and retaining an international workforce is essential to be competitive in the global marketplace. With this in mind, employers are too often unpleasantly surprised by visa and compliance issues. The global employer should ensure its workforce is mobile and comprised of the best and the brightest by strategizing to proactively address its immigration needs. Hire smart. Implement a company-wide policy which asks key questions regarding immigration status of each and every candidate. Employers should confirm that each candidate is legally authorized to work and confirm whether the candidate will ever require sponsorship for an immigration-related benefit. The inquiry doesn’t end there. If a candidate indicates that he or she requires visa sponsorship, the global employer should probe further and ask additional questions about current status, length of time in current status, and whether a green card process has ever been initiated. When recruiting talented candidates who are outside the U.S. and do not possess a work visa, the H-1B visa for professionals should be considered as a last resort due to the limited number available each fiscal year and the extremely high demand. With limited visa options, the global employer should focus its international recruitment efforts on employees who have served the organization internally for at least one year and may qualify for an intracompany transferee work visa. Further inquiry may be on outstanding individuals who may qualify pursuant to the O-1 exceptional/extraordinary visa. The global employer also should be aware that certain nationalities have additional visa options available to them, including but not limited to Australia, Canada, Mexico, Chile, and Singapore. Finally, if the global employer is a foreign-owned company or engages in substantial trade with another country, there may be additional visa options for employees who are citizens of that country (E visas). Understand the possibilities and limitations of “Visitor” status. An individual who enters on a B-1 visitor visa or pursuant to the Visa Waiver Program (also commonly referred to as “ESTA”) is not authorized to work in the United States. The business visitor may attend meetings, conferences, and seminars, negotiate contracts and disputes, observe activities at a related company, or conduct business on behalf of an overseas employer. The business visitor may not receive wages from an U.S. entity. If a business visitor is traveling to the U.S. frequently or for extended periods of time, a work visa is recommended since this travel pattern typically raises a red flag for immigration officers at the port of entry. This could result in additional scrutiny, denial at the port of entry, or, in the worst case scenario, an expedited removal. If a key employee will be needed in the U.S. for any purpose other than a brief visit to attend meetings or other permissible activities, then it is advisable to contact your immigration law advisor before the trip to determine appropriate visa options. Note that the law does allow for limited circumstances where someone in visitor status may work in the U.S. The most commonly utilized provision is for skilled technicians who enter the U.S. for the purpose of installing or repairing machinery sold by their employer within the last year, where the contract for sale provides for such service. Plan for the future. Employers should aim to identify key employees who require H-1B sponsorship by November to ensure timely filing of cap-subject petitions. For employees who have already secured the H-1B visa or another type of work visa, the employer should bear in mind that work visas are temporary in nature and some cannot be extended beyond a certain time period. Global employers should ensure they are aware of these deadlines and identify employees they wish to sponsor for permanent resident status as soon as possible. Be creative—global employers have the opportunity to create visa options. 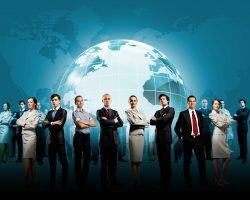 Global employers may send key employees to work for an affiliate, subsidiary, or parent company outside the U.S. for one (1) year in a specialized knowledge, managerial, or executive role. This strategy may qualify the employee for an L-1 visa and facilitate the green card process for those who qualify as Multinational Managers. Be prepared—act as if Big Brother is watching. Any number of government agencies may appear for a site visit. This includes U.S. Citizenship and Immigration Services (“USCIS”) and its Fraud Detection and National Security (“FDNS”) division, Immigration and Customs Enforcement (“ICE”) and the Department of Labor (“DOL”). The smart employer conducts regular internal “audits” of all H-1B and L-1 workers to ensure that their job duties, work sites, and salary are consistent with the petition filed with USCIS. The audit should include a review of the Public Access File for each H-1B worker. Furthermore, the global employer should schedule regular internal audits of its I-9 records to ensure they have been filled out properly and are up to date. Prepare for site visits by USCIS, ICE, and the DOL by designating someone from Human Resources (and at least one other individual at the company) who could be prepared to meet with an investigator should an unannounced visit occur. In addition to Human Resources, it is also advisable to notify corporate counsel and obtain the name a specific contact in the event of a visit from a government agency. Fire smart. The global employer should know it bears additional obligations to the employee upon termination if the employee holds H-1B, O, or P status. The employer must reimburse the employee for the cost of return transportation to the home country and should notify USCIS of the termination. Finally, after an employee’s departure, the employer should ensure it complies with document retention requirements for I-9 records, Public Access Files, and PERM Audit files and implement a system to purge these records after the requisite time period has lapsed. Stay Tuned. Government agencies have been working hard to implement regulations pursuant to President Obama’s 2014 executive actions. These regulations potentially offer several benefits to businesses including more flexibility for high-skilled workers, the modernization of the PERM process, and parole for entrepreneurs. Furthermore, the results of the November presidential election may result in significant immigration law changes. Content contributed by Hannah F. Little, J.D., a N.C. Board Certified Immigration Law Specialist and partner in the Garfinkel Immigration Law Firm, representing employers and employees in a variety of industries and overseeing the firm’s family-based immigration matters. For more information, contact her at 704-926-9631 or hannah.little@garfinkelimmigration.com or visit www.garfinkelimmigration.com. When you look at your sales results and they’re not where you want them to be, what do you do? Do you scream “work harder!” to your team (or yourself), and hope the numbers will get better? News flash: that’s not good enough. And it’s definitely not how the most effective sales motivators push their teams and themselves to do and achieve more. As we discussed at the August session of Business Wise Insiders, smart sales leaders create energy with proven strategies that prepare, coach, and energize their teams. Knowing how to deliver the right kind of feedback is important (hint: it should be mostly positive). But that’s only half of the equation. While most sales managers focus on how to give feedback that resonates with reps and leads to improved performance, smart motivators coach reps how to receive feedback. Separate What From Who—Your reaction to feedback can change depending on who’s giving it. Be objective—focus on the content, rather than the source, of the feedback. 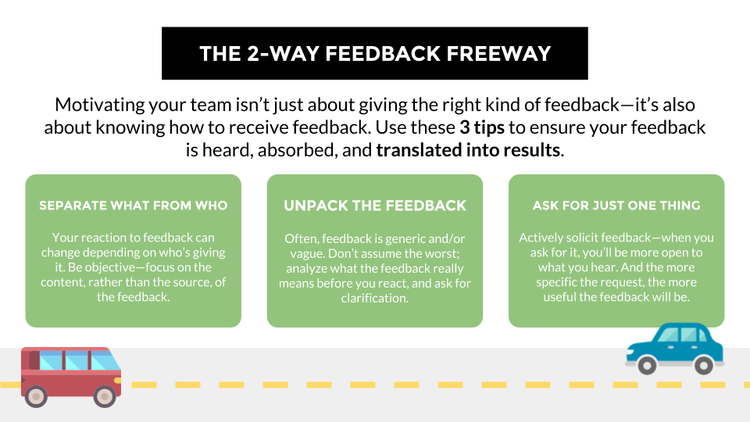 Unpack the Feedback—Often, feedback is generic and/or vague. Don’t assume the worst; analyze what the feedback really means before you react, and ask for clarification. Ask for Just One Thing—Actively solicit feedback—when you ask for it, you’ll be more open to what you hear. And the more specific the request, the more useful the feedback will be. And encouraging reps to use these tactics puts them in the right mindset from the start—so they’ll be more receptive to, and less guarded against, constructive criticism. Of course, feedback during role play sessions or as part of a debrief after a sales call is only one piece of a larger strategy for energizing your team or yourself to succeed. You can’t expect your team to just “Work harder!” if you don’t give them the tools and support they need to set and achieve goals for both performance and results. Want to know how your sales culture measures up? Click here to get your Sales Culture Score. And as always, if you’re looking to meet and share ideas with other B2B sales pros in Atlanta, Charlotte or Dallas-Fort Worth, join us on the second Tuesday of every month for Business Wise Insiders—a “mini-clinic” where local sales experts get (and share) their best ideas. Content contributed by Business Wise, Inc., the area’s most comprehensive business development platform, including a high quality, constantly updated, local (not national) database of over 100,000 business contacts. Business Wise can help you navigate every phase of the new business development process from finding good local prospects, to connecting with key decision-makers, to capturing sales-ready leads, to creating a winning biz-dev strategy that empowers you and your team to succeed. In addition to Charlotte, the company also maintains comprehensive business development platforms for Atlanta and Dallas-Fort Worth. For more information, contact Debra Kline at 770-956-1955 x207 or debra@businesswise.com, or Vicky Ray Pace at 704-554-4112 or vicky@businesswise.com. Be wise and check out the BWise blog at www.businesswise.com/blog. When business owners contemplate expansion and growth of their business enterprise and brand, they must first make a fundamental decision on strategy and method of expansion. Should they expand on their own, utilizing their own time, capital and other resources on a location-by-location basis, or should they leverage the efforts of others who are willing to invest their own time, effort and assets to grow the business brand? Successful businesses typically have a solid and growing market share as well as strong profitability and brand recognition in their core geographic markets. If an owner can sufficiently capture and efficiently package the business model and underlying business formulas into a franchise model, then franchising might be the best path for expansion. Franchising allows a business owner to expand into new geographic markets by allowing others to use an owner’s established systems and branding to duplicate the systems and expand the brand into other markets. Setting up a franchise system provides for growth by utilizing capital provided by others to acquire capital assets, operating assets, as well as funding opening and other operational costs for additional storefronts under the business brand. A franchise arrangement also reduces certain risks and liabilities for the owner-turned-franchisor such as those related to loans, leases, employees and vendors, as those become franchisee responsibilities. Once a business owner has developed a franchise model, finding the right people to sign up as franchisees is the next step. Those are people who are interested in an opportunity to own a business and be their own boss but do not necessarily have the abilities or resources to build a new business completely from scratch and, therefore, wish to join in on a successful and proven business model. Franchising incentivizes franchisees to become invested in the success of their franchised business because they pay both an up-front initial franchise fee and ongoing royalty fees to the franchisor, and in many cases, invest a significant part of their net worth into the new business. Many owners who turn to franchising find talented individuals who are very committed to making sure their franchise is a success. However, business owners looking into franchising should keep in mind that the success of one or even several pre-franchising owner-operated storefronts is not a sure prediction of success of additional storefronts in a franchise model. Franchising is not the best solution for every owner considering expansion. An owner relinquishes some control when bringing in others to open and run a business unit as a franchise. While a franchisor retains certain powers over franchisees in the wider scope the operation of the business unit, such as through the implementation of system-wide standards applicable to all franchisees, a franchisor is not permitted to exercise too much control over a franchisee, and certainly not over day-to-day operations of the franchisee’s business. Business owners must also consider the costs to set up the franchise system and access to capital to cover such costs. While franchising can be a lower-cost means of expansion in the long run after the franchise system is set up, the conversion to a franchise model requires an initial investment by the owner. The owner will need to develop legal documents, such as a federally mandated Franchise Disclosure Document, and a franchise agreement form, as well as other legal and business documents and procedures such as operations manuals, marketing and advertising programs, and training programs prior to offering a franchise business opportunity to prospective franchisees. Some states impose additional legal requirements and documentation on franchisors before the franchisor can solicit prospect franchisees in that particular state. Also, one of the cornerstones of a franchise system, its intellectual property, must be sufficiently protected, which includes federal registration of the owner’s trademarks. Business owners need to carefully analyze the underlying reasons for their own business success. In most cases, it is due to both the owner’s day-to-day efforts as well as the model and processes built and implemented in the business. If however, the owner is indispensable to the business, this over-reliance on the owner will be a challenge for moving forward in a franchise system. The business model must be capable of being a blueprint for replication by others in a franchise system by being sufficiently detailed to provide the roadmap to potential success. A common misconception among owners contemplating expansion via franchising is that they can simply take the current written materials describing and demonstrating their current business model, make a few tweaks, and those revised materials are then ready to be disseminated into a franchise system environment. Even more common is the miscalculation of how much time and effort is needed by the owner to get what is not currently on paper, i.e. the essential operational or managerial processes that only exist in the business owner’s head, into print format so that others can implement that part of the business model. The successful business owner-to-franchisor conversions are those which can bridge the gap between the pre-franchise written and non-written business model materials in existence, and the written materials needed for a franchise system. A properly structured franchise system gives business owners an alternative method for business enterprise growth. 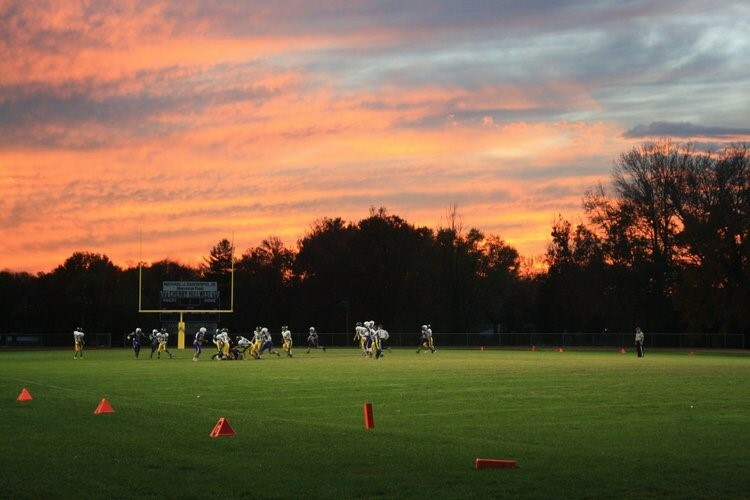 Converting to a franchise system takes some time, effort and financial resources, but once the franchise system is properly set up, a business owner can focus on finding the right people to utilize their own resources and assets to expand the reach of the owner’s brand into new markets. Content contributed by Shumaker, Loop & Kendrick, LLP, a full service law firm founded in 1925 with more than 240 attorneys practicing in Charlotte, North Carolina; Columbus, Ohio; Sarasota, Florida; Tampa, Florida; and Toledo, Ohio. Content written by Jack Santaniello, Partner, whose principal areas of practice include corporate, transactional, mergers and acquisitions and franchise and distribution law. For more information, contact him at 704-945-2141 or jsantaniello@slk-law.com or visit www.slk-law.com. Key Employee Incentives—Perhaps a Phantom Approach? Advisors often suggest a variety of equity-linked alternatives such as restricted shares, non-qualified stock options, incentive stock options, LLC profits interests, and/or options to purchase LLC profits interests. These alternatives should be considered in conjunction with an analysis of the related form of business entity tax treatment, securities law compliance, vesting schedules, and administrative costs (for example, stock options may require annual independent valuations in order to comply with Section 409A under the IRC). It is important, however, to first determine the key employee’s concerns and/or goals with respect to the company and the employee’s assessment of a fair return for the employee’s services. Many key employee situations may be resolved with something other than equity ownership in the company and still be a mutually agreeable solution. Additionally, under North Carolina law, employees that hold an ownership interest in the employer may assert, in a termination of employment situation, an additional layer of protection under the Meiselman line of cases in North Carolina. Relief under this approach is normally based on a claim by the minority shareholder that his or her “reasonable expectations”—here, continued employment—have been frustrated by the majority owner. Accordingly, such interest may bring about undesirable employment issues. A majority owner faced with the termination of an underperforming employee owner will likely face greater obstacles to proceeding with such termination due to the employee’s shareholder status unless very clear and enforceable documents are put in place covering the employee’s termination, including the repurchase of the former employee’s equity interest for an agreed upon consideration following termination. Let’s return to the key employee/owner dialogue scenario. A key employee informs the owner that the relative contributions to the company between the owner and employee have, over time, become inconsistent with the returns provided to each of them. Perhaps the employee believes that if the current owner holds 100 percent of the company, surely out of general fairness such owner could part with an “insignificant portion” (say, 10 percent) of the company and simply “gift” such shares to the deserving employee. In such cases, the owner should point out to the employee the tax issues generated with an equity transfer. Equity simply “given” to the employee by the employer results in the IRS treating such transfer as part of a compensatory arrangement with the employee needing to come up with funds to pay the tax bill relating to such value unless the employer is willing to “gross up” the employee’s cash compensation to assist the employee with his or her newly acquired tax obligation. Another distinct possibility is that the owner has personally guaranteed existing bank debt needed for operational cash flow and expects all owners to do the same. The employee may become less eager to jump into the ownership ranks if he or she would also be required to take on a portion of such contingent liabilities. After a meaningful discussion with the key manager, the business owner may find out, for example, that the manager is satisfied overall with current compensation and annual bonus arrangements but is greatly concerned with what would happen upon a company sale or other change of control. In such case, the business owner might structure a simple phantom stock or stock appreciation rights (SARs) plan. These plans are quite simple to implement and involve granting an employee a set number of phantom stock units or SARs. No tax is paid on the grant date; taxation occurs when the amounts vest. So at the time of a change of control, the employee would receive a payment taxed at ordinary income tax rates and the company would get a deduction. Such plans normally remain in place for the employee only so long as he or she continues to provide services to the company and can be structured to generate a cash payment solely upon the sale/change of control event, thus providing the key manager incentive to stay on with greater certainty as to the economic effects of any such sale/change of control. The key employee would not obtain capital gain treatment but may nevertheless regard the phantom units or SARs as a valuable “success” type of reward for staying with the company while allowing the owner to avoid shared ownership issues. Bottom line—business owners willing to engage in active listening with key employees may just learn they have more options (pun intended) than actually issuing ownership rights. Content contributed Shumaker, Loop & Kendrick, LLP, a full service law firm founded in 1925 with more than 240 attorneys practicing in Charlotte, North Carolina; Columbus, Ohio; Sarasota, Florida; Tampa, Florida; and Toledo, Ohio. Content written by Philip S. Chubb, Partner, Corporate Practice Co-administrator, whose principal areas of practice include corporate transactional and M&A projects. 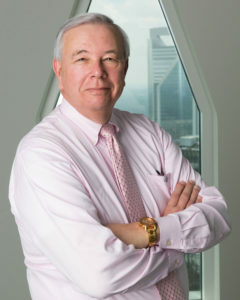 For more information, contact him at 704-945-2165 or pchubb@slk-law.com or visit www.slk-law.com. We live in a world where total access to information is at our fingertips via our smartphones. Smartphone sales have gone from 62.6 million units in 2010 to a projected 236.8 million in 2019 (Source: Statista 2016). As a result, social media communication has been transformed by our desire to share our experiences in real time, in the moment. Most think of Facebook, Twitter, Instagram and Pinterest when social media mobile use is discussed and statistics support this. LinkedIn is different than other social media. It has typically been accessed via a desktop or laptop computer. Where the other social media options are hybrid in nature, appealing to consumers and businesses, LinkedIn is dedicated to business-to-business. Fact: Currently more than 50 percent of LinkedIn users access the platform with their mobile app. The result is a brand new, totally redesigned master LinkedIn app. We love the new mobile app because it is similar to the desktop version, which has superior navigation and enhanced capabilities. The new app is organized into five distinct sections: Home, Me, Messaging, My Network and Search. From Home, you can now see a stream of news sent your way. This section includes content that has been shared or published by your network. You are given the opportunity to respond to the postings by liking, commenting and sharing what you see. By simply scrolling through the posts you are able to see information based on your interests, connections and groups. Me includes two areas. First you’ll see the number of people who have viewed your profile as well as who’s viewed the content you have shared. This is similar to the notifications tab of the desktop version of LinkedIn. When you share content, you’ll see who has liked, commented or shared it along with an update of who’s following you. This is a great method to stay on top of individuals who are interested in your posted content for the purpose of furthering your business relationship. You can follow up with those who have responded to your post and further the discussion about the content. The second area of Me now allows for editing your profile instead of having to wait until you get back to your desktop. It exhibits how your profile is seen by mobile users and provides insight into how to structure it based on how it is rendered within the mobile environment. Don’t be fooled into thinking this section is just glorified texting between you and your connections. This has been transformed into your total communication center on LinkedIn. It mirrors the new message center on the desktop version and is where all past and present communication is housed. Within My Network are the updates to your connections profiles that reflect their position or job change, work anniversary, and birthdays. This is similar to what is found on your desktop Home page. You may congratulate your connections with a personal note (and if local, suggest a celebratory lunch or coffee break). It’s a great way to stay on top of the changes being made by your network. In addition, LinkedIn will suggest People You May Know based on your current connections and profile keywords. A word of warning—by clicking on the icon to the right that allows you to request a connection, you are not permitted to customize your message. We always recommend customizing connection request messages. You’re now able to “search for people, jobs and more…” as written on the tool bar. For those of you who have used the search tool bar at the top of your desktop version, this will be very familiar. Prior to going into a business meeting with someone, check them out on LinkedIn to find out more about them. This makes it simple to access their profile. You can do the same type of research when meeting with a company. Searching for the company name results in seeing their company page, including the latest news and possible jobs available. Finally, when connecting with a person using the new app, you are now able to customize your connection request by clicking on the three horizontal dots at the top right of their mobile profile. There you will be able to personalize your invite, send them a private message and share the person’s profile with another individual. Why do we love the new LinkedIn mobile app? Finally, there is integration between the desktop and mobile versions. Both now allow for simpler communication and research. LinkedIn recognizes the importance of mobile for communication purposes and now it is possible. Content contributed by Ira and Linda Bass of Connect To Success, specializing in LinkedIn individual and group training for corporations, associations and networking groups along with communication coaching. For more information, please contact Ira Bass at IraBass@ConnectToSuccess.biz or 704-989-3790. Learn more at www.ConnectToSuccess.biz. D id you ever think you might be trying to sell to too many people? I know it sounds odd—as a sales pro, you’re programmed to sell your product to as many people as possible. It’s a fundamental tenet of business growth. But the fact is, when you try to sell to too many people, you end up with fewer sales and fewer long-term clients. It’s called the Target Market Paradox—and it’s one of the most common (and most crippling) mistakes in lead generation. As a business database and prospecting tools provider, we know a thing or two about the importance of a defined target market. Because a database can contain tens of thousands of listings, users are immediately challenged by which prospects to target. Rather than letting loose to sell to every prospect in the database, it is usually best to work with a narrowly defined target market of only the best prospects. You might ask: Why encourage such a limited approach? The answer is that, far from limiting the client’s business development efforts, a defined target market creates a direct path to more appointments and sales. Sales and marketing strategies that lack focus. Too many “low-value” prospects (prospects unlikely to agree to an appointment, make a purchase, or renew) clogging up the funnel. Limited referral opportunities due to lack of clarity about who you’re selling to. Here are a few steps to help you create an ideal target market allowing you to pursue leads that are likely to reward you with years of sales. To shape your target market, start by looking at the clients you already have. Are all of your client relationships equally rewarding? What are the demographics and psychographics of your most profitable clients? Some customers, often the large and unprofitable ones, may be more trouble than they are worth. Others with a respected brand may give you instant credibility. Use your existing client list as a blueprint—it’s the first step in the process of separating high-value opportunities from low-value time-wasters. Your current client list provides a road map, but you need to dig a little deeper to find your ideal target market. After all, you’re not looking to sell to your current clients—you already did that. You’re looking for “hidden” prospects, many of whom may not know about you or what you offer. Once you’ve analyzed your current client demographics, ask yourself the following questions, then use the answers to define your highest-value prospects. What common challenges do my clients and prospects face? What objectives do they share? What other industries or companies might have these same challenges/objectives? What’s missing? What industries/companies do I want to sell to that aren’t represented on my client list? Why do I want to sell to these companies? Do they really represent my ideal prospect? Even if you think you sell to “everyone,” defining your ideal target market is still important. Imagine you are asked for a referral and told, “I can work with everyone who needs my product.” Who comes to mind? Chances are you’d struggle to come up with anything promising. What if instead you were asked for “serial entrepreneurs in the technology arena located in your city.” Your mental picture becomes clearer. And that’s the fundamental point—your target market isn’t just a list of companies. It’s a living template that you use to generate leads and qualify prospects in real time, and that you continuously refine based on what’s working and what isn’t. It is important to make sure that your business database and prospecting tools provider assist you in defining your target market appropriately and offer the resources that will enable you to identify your high-value local prospects. Follow these pointers and you’ll see why a narrowly focused target market increases your potential for better leads, more appointments, and rewarding client relationships. Content contributed by Business Wise, Inc., helping businesses navigate every phase of the new business development process by combining trustworthy business and local contact databases with powerful prospecting tools for the Atlanta, Charlotte and Dallas-Fort Worth areas. To get a snapshot of how many high-value local prospects you may have, visit www.businesswise.com/resources and start the “Target Market Planner.” For more information, contact Vicky Ray Pace, Area Manager—Charlotte Office, at vicky@businesswise.com or 704-554-4112 or visit www.BusinessWise.com. The consumer’s path through the digital landscape of a growing internet is becoming clearer, but is still a relatively new journey. One thing is no longer deniable: As the internet has invaded our pockets and engaged our fingertips, suddenly information is available anywhere, anytime. Furthermore, the consumer is using mobile devices and internet capabilities throughout the buying experience, reading reviews and seeking advice from friends on social networks. Here is an illustration. When MapQuest and other mapping websites first became popular, consumers would research a business they wanted to visit, map the address, print out the route instructions and venture out into the world, hoping that the information was correct. Just a few years later the entire Google knowledge graph and map travels with us in the form of GPS apps and mobile search, seamlessly. And with that initial click comes a wealth of even more information. For example, the business’s closest competitors, the business’s hours or whether an item is in stock, or comparative prices of services/merchandise both online and in local stores. Local search has gone from the desktop to mobile faster than anything else. The takeaway? Getting found online used to be the key to online success; now it is only part of the process. There is a lot of noise on the internet right now. It seems everyone with a blog is a digital marketing expert, filling Google search and Twitter feeds with “5 Best Ways to Do This” and “10 Ways Not to Do That.” It is easily overwhelming; very few are actual experts. You might find yourself feeling that there is almost no time in between reading advice articles to implement any information consumed. There are definitely qualified digital marketing experts that you can read, follow and trust. You will know an expert by the amount of data they have collected and show off in their writings to back up their theories and ideas. Consume as much information as you want from as many sources as possible, but always remember it will apply to your business differently than it did to theirs. Your business is unique and should be treated as such. Here is the single piece of expert advice to begin with: Start simple. Forget about technical. Forget about digital. Forget about mobile, desktop and Google. Think about your customer. Think about your goals. Example: Is being No. 1 on Google your goal? Or is it getting more customers and growing your business? Probably the latter. The former is just a step in the process. When you get to the root of your digital marketing goals, the strategy shifts towards a personalized consumer experience from a robotic solution designed and written to please search algorithms. From when you build your website for your user to when you write your blog posts for your readers, the paradigm shifts. Suddenly your website changes from an online brochure to a revenue-generating online asset for your business. So let’s break that down into several actionable steps so that implementing this advice is as easy as reading it. Figure out where you are starting from. Search online for your business name, click through your website on desktop and mobile, see what people are saying about your business online. Do you like what you see? Do you get a sense of a consistent brand message across all of your online assets? Was it easy to use your website on your phone and tablet? Think about your buyer profile and typical website user. Where are they when using your website? At home? At work? In the car? In your store? Brainstorm ways you can make this experience better for them (faster, easier, more value). Look at the way your website visually displays “Contact Us” in your main navigation. Does it look the same as the rest of the menu? Or does it stand out? Consider making it stand out with a different color or look. This simple edit has the potential to increase leads and conversions on its own. Pop open your social media pages (hopefully your business has them.) Keep Facebook, Twitter, LinkedIn and several others open in a few tabs and just click between them. Are you seeing a unified brand? A consistent message? It would not take a graphic designer very long to create a set of profile images to give your business a consistent professional visual appeal. Take queues from the world’s biggest brands. They have whole teams of the best marketers in the world working for them. Watch how they present brands in commercials, magazines, online. Listen to the messaging. You will notice them creating more value online than just having a website–with off-site blogs, online tools, high value social media feeds. With consumers as smart as they are, and with an overload of online resources to choose from, how does your business stand out? Think about creating more value with your online assets. Also note that the longer you can get people to stay on your website, the more pages you can get them to click through, the better. Google measures both metrics as the amount consumers trust the information they are finding on your site. If they leave right away (“bounce”) your page may be viewed as an inferior resource to one that encourages readers to click on links, watch videos, read the next article in a series, fill out a form, etc. 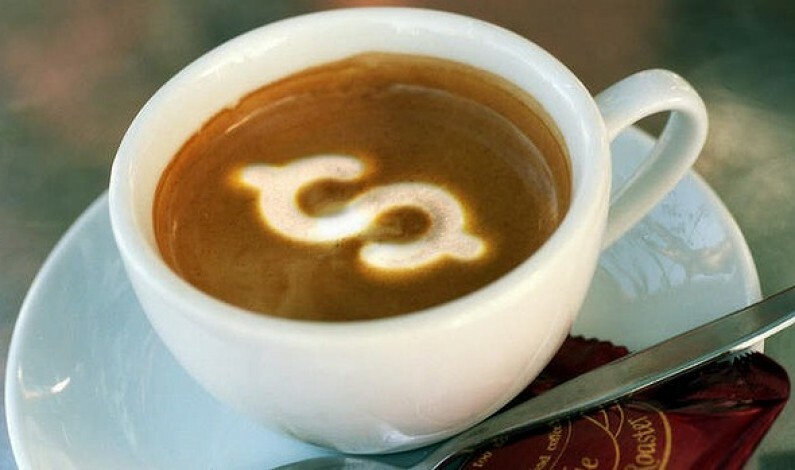 Content contributed by Possible Web, Inc., a digital consulting group founded in 2012 offering productized digital consulting services to businesses of all sizes. 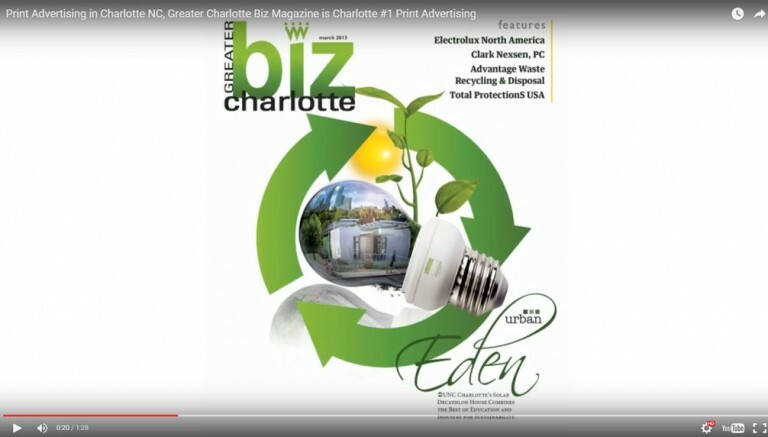 Content written by Patrick Scully, local Charlotte SEO expert, co-founder and creator of the firm’s innovative inbound marketing services. For consulting contact him directly at 704-594-5796 ext. 702 or by email patrick@possibleweb.com or for more information visit possibleweb.com. A t the end of last year, the president signed into law the ability of some investors to not pay tax on the sale of “qualified small business stock” (QSBS) acquired after September 27, 2010, and held for more than 5 years. Under the new law (which permanently extends this special treatment that had been allowed on a temporary, annual basis since 2010), the gain from such sales (subject to numerous technical qualifications and limitations) is excluded from taxable income and, therefore, is not subject to federal and, for most states, state income taxes, the alternative minimum tax, or the 3.8% tax (sometimes referred to as the Obamacare tax) on capital gains and other net investment income. The amount of gain that is excluded from tax is capped at the greater of $10 million or 10 times one’s investment. For example, a person who invests $100,000 in a qualified small business after September 27, 2010, holds that investment for over five years, and meets the other eligibility requirements will not be subject to tax on gain of up to $10 million, and a person who invests $1.5 million will not be subject to tax on gain of up to $15 million. Not all investors are entitled to this tax break. Only individuals (directly or indirectly through flow-through entities, such as limited liability companies (LLCs) classified as partnerships for federal tax purposes), estates and trusts are eligible (i.e., not C corporations), and those eligible investors generally must purchase the QSBS directly from the issuing corporation and not from any other person (except transfers upon death, by gift or distributions from LLCs and other entities classified as partnerships for federal tax purposes). Only C corporations (including LLCs that elect to be classified as C corporations for federal tax purposes) may issue QSBS. Investments in partnerships, LLCs and other entities classified as partnerships, and S corporations do not qualify, except to the extent those flow-through entities own QSBS in other companies. Moreover, only businesses that are deemed to be both “active” and, at the time of the issuance of the stock, “small” are eligible to issue QSBS. The list of businesses that are not deemed to be “active” and, therefore, do not qualify to issue QSBS include professional service, arts and entertainment businesses; insurance, financing, leasing, banking and investment companies; hospitality (hotels, restaurants, etc.) businesses; farms; and businesses entitled to depletion deductions (such as mining, oil and gas, and other mineral extraction businesses). Also excluded are those active businesses that immediately after the investment have a gross asset value of more than $50 million and, therefore, are not considered “small” for this purpose. LLCs and other entities classified as partnerships for federal tax purposes are not completely left out from securing this tax break for their owners. Those entities may convert into C corporations (usually a fairly easy process) to have their future appreciation escape tax (i.e., only the owners’ built-in gain at the time of conversion will be subject to tax when they later sell their QSBS), up to the above-described caps. Hence, owners of existing companies that are LLCs or other entities classified as partnerships for federal tax purposes may be better suited to realize this tax break than existing C corporations that issued all or substantially all of their stock before September 27, 2010. However, those investors will want to weigh the benefits of maintaining flow-through status (e.g., one level of tax on business earnings that are distributed to its owners, the ability to sell assets or the company itself at lower capital gains rates while allowing the purchaser of those assets or the company to receive a tax basis in those assets equal to the amount the purchaser directly or indirectly pays for them, and the ability to use company losses to reduce, subject to several limitations, the owners’ taxable income from other sources) against the benefits of not having the future appreciation in their interest in the company subject to tax. The ability to sell an asset for cash and not have to pay tax on the gain realized on the sale is extraordinary. This tax break was deliberately enacted by Congress to encourage investment in active, small businesses. Every business owner who either has an investment in a small business (including a business that may otherwise not qualify but has a segment or division that may qualify) or is considering starting or investing in a small business should consider whether that business qualifies (or through restructuring or reorganization could qualify) for this tax break and, if it does, assess whether the ability to avoid tax on the sale of their investment outweighs the numerous, complex and, in some cases, unsettled compliance requirements and limitations and competing considerations of flow-through taxation. U.S. stocks just completed an astounding round trip between the worst performing opening days of the year ever, which erased nearly $1.5 trillion of market value in the first 10 trading days, to the largest quarterly comeback since 1933. Catalysts for the initial sell-off were plentiful, but the primary drivers were a continuation of downward price action in commodities and a broad reevaluation by investors of how much risk they were really taking in the financial markets. Will commodity-dependent emerging markets drag down growth in the global economy? The questions were bountiful, and markets dropped precipitously. Until they didn’t. As has happened so many times before, just as the pundits on CNBC began yelling that 2008 was here again, U.S. equities staged one of the best quarterly comebacks in stock market history. One important factor in this recovery has been an increase in the price of oil, as well as global central bankers who seem reluctant or unable to let their collective feet off the economic gas pedal. The stabilization of commodity prices in particular led to greater investor confidence in not only commodity companies, but also the financial institutions that supply them with capital. For wealth managers engaged primarily to manage risk for their clients, recognizing the risks that sustained lower commodity and oil prices present, the U.S. economy is a huge beneficiary as consumers have more discretionary cash to spend. 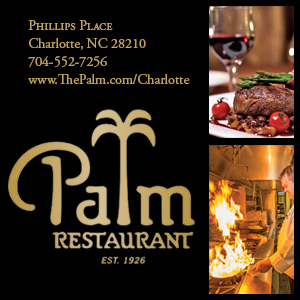 Look around Charlotte and you will certainly see restaurants full, shopping malls of eager buyers and on many a corner a new apartment building being built. Corporations are also at an inflection point where they can no longer afford to cut expenses only to plow money into stock buybacks. Wage gains have been muted, but competition for labor in many sectors is heating up. Companies have the cash to spend and will need to do so if they have any intention of remaining competitive. We are seeing that in our local market as well. In 2015 our Queen City averaged year-over-year employment growth of 3.5 percent, adding an average of 3,000 net new jobs per month with 2016 off to a good start. So keeping the glass half full and embracing volatility when it comes your way can be a good strategy. Even though it may feel like the worst times to get into the market in many cases they prove to be the best. Have a strategy and stick to it. Work with a wealth management firm that provides a focused investment discipline concentrating on diversification, long-term holding periods, tax sensitivity and risk-adjusted returns. Do not try to time the market. Attempting to time the market can be costly. If you invest on a regular basis you can actually benefit from volatile markets through a process of dollar cost averaging. Avoid media overload. Bad news is always easy to find. With all the noise we get on a daily basis, this can lead to reactionary decisions that can be costly. Stay focused on the longer term, be confident in the plan you have put in place. Don’t try and manage volatility on your own. Seek a professional advisor that can help you focus on your goals, objectives, financial circumstances and risk-taking capacity. The opinions voiced in this article are for general information only and are not intended to provide specific advice or recommendations for any individual. To determine which investment(s) may be appropriate for you, consult a financial advisor prior to investing. All performance referenced is historical and is no guarantee of future results. Today, more and more of the 10,000 aby boomers—those born from 1946 to 1964—reaching retirement age are exiting their businesses and listing their companies in the business-for-sale marketplace. The number of small businesses listed for sale nationwide is at a six-year high according to data compiled by BizBuySell.com, and analysts expect that number to reach unprecedented levels. The vast majority of these owners will be looking to exit their businesses through a sale to outsiders (a third party) or a sale or transfer to insiders (co-owners, key employees or family members). This movement is predicted to soon result in a glut of companies for sale, driving down valuation and creating a buyer’s market. In over 25 years of assisting closely-held businesses and their owners in the exit planning area, I have never seen more business owners who are beginning to understand how critically important it is for them to create a successful exit plan in order to reach their personal and financial objectives by maximizing the value of their business upon their exit. Let’s assume you are currently a 65-year-old founder and sole owner of a successful business. You have worked hard all of your life but are experiencing the first signs of losing some of the “fire in your belly” for driving your business’ continued growth and would like to soon be able to take some “chips off the table” and create a liquidity event which will allow you and your spouse to travel and do all of the other things you have always talked about while you are still young and healthy. As you understand it, your business will probably sell for at least $8 million which constitutes approximately 80 percent of your personal net worth. You would like to retire in the next three to five years and realize you can’t do your exit plan alone. 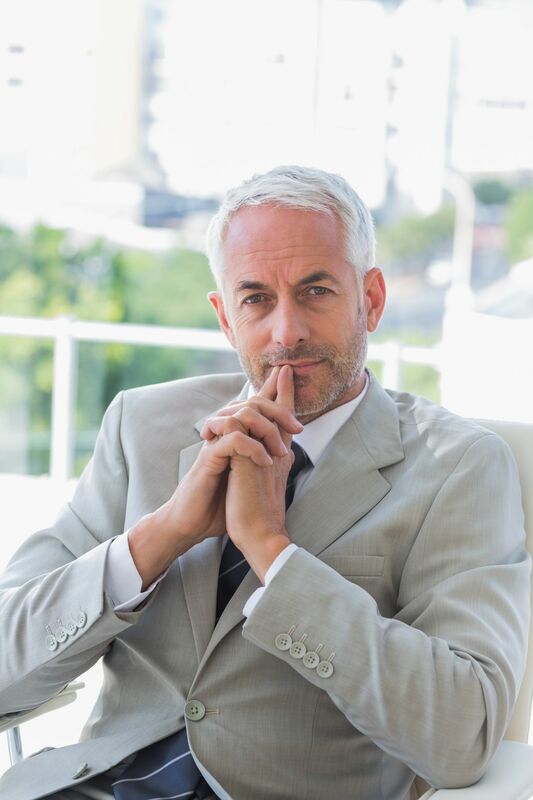 However, you’re wondering who, exactly, are the professional advisors that have the qualities, expertise, experience, and training to help you plan in order to make your transition successful? My experience has been that the most successful exits have occurred when the business owner has assembled an advisor team, usually including at a minimum a CPA, attorney, financial planner, and insurance professional, to help him/her create and orchestrate a successful exit. Why an advisor team? Why not just one advisor who can assist in creating an exit plan? The answer is simple: No single profession or professional possesses all of the necessary skills, expertise and experience to single-handedly lead an owner through all steps of the ownership-transition process. Also, some professionals are not comfortable cooperating closely with professionals from other disciplines for the benefit of their common clients. As a result, the process can stall before it really gets started. Your current advisors, whether CPAs, attorneys, financial or insurance professionals, may or may not be familiar with some of the important issues which you should address in any well-designed exit planning process. Instead, they may be more focused on compliance-type activities (general business matters, contracts, employee matters, tax returns, financial statements, etc. ), which simply are not planning-oriented. In addition, financial and insurance professionals often focus on a subset of overall planning—investment planning or life-insurance planning—in order to help meet income needs or estate-tax costs. Having said that, there are of course many advisors who are exceptions to these generalizations. You should certainly discuss these issues first with your current advisors as they may be well-qualified to help you accomplish your exit planning objectives. At least one member of your advisor team should be trained and possess the knowledge to act as a facilitator of your exit planning process. This facilitator should use a written, detailed and systematic process which covers all the important issues which need to be addressed for a particular owner’s exit. This facilitator must also be able to work with you and your advisors to create and agree upon a written exit plan and action item checklist for you and for each member of your advisor team. This will shorten the process and reduce considerably the time you should have to spend creating the plan. A written exit plan is based upon your goals and objectives so it provides a road map that can be understood and followed by you and all members of your advisor team. In most cases, once you have chosen your facilitator, many (or all) of your other current advisors will likely be suitable members of your advisor team, unless they tell you otherwise. Now that the stage has been set, our next installment will discuss in detail the eight prerequisites for creating and implementing a successful exit plan. Content contributed Shumaker, Loop & Kendrick, LLP, a full service law firm founded in 1925 with more than 240 attorneys practicing in Charlotte, North Carolina; Columbus, Ohio; Sarasota, Florida; Tampa, Florida; and Toledo, Ohio. Content written by Robert Norris, Partner and co-chair of the firm’s Emerging and Middle-Market Practice Group. 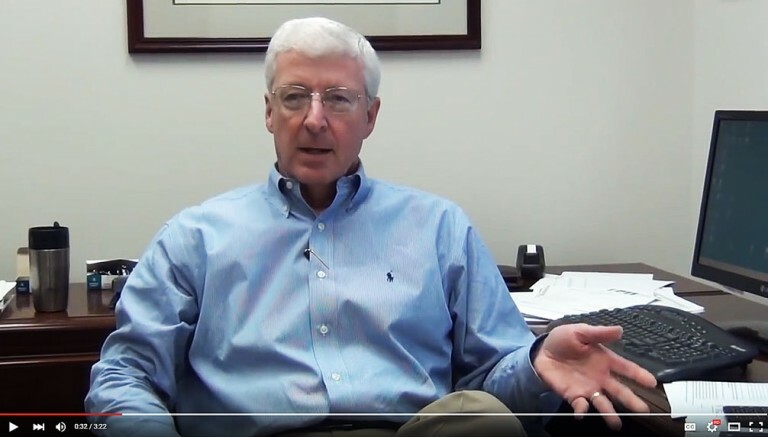 For more information, contact him at 704-945-2926 or rnorris@slk-law.com or visit www.slk-law.com. Family business owners face both emotional and financial challenges when preparing to exit their business—and many do not have a formal succession plan. Key aspects to consider include understanding goals and objectives; analyzing options for gifting, selling and/or donating; and developing a plan that is appropriate for both the family and the business. According to the Baker Tilly International Succession Reset: Family Business Succession in the 21st Century (2014) report, four out of five U.S. family business owners are not succession-ready. Key challenges faced by family business owners include being ready for transition or market sale, and ensuring that the business has the financial capacity to support both retirement and the next generation. The study points out that succession today is just as much about the transfer of knowledge and skills as it is about the transfer of wealth, because the level of skills required to effectively run a business in today’s environment is far greater than it was in previous generations. According to the PWC Global Family Business Survey (2014) report, only 16% of family firms have a succession plan that has been discussed and documented. The terms of the plans were varied: 40% would pass both management and ownership to the next generation; 32% would pass only ownership; 18% would sell to another company including a private equity (PE) firm; 5% would complete an initial public offering (IPO); 4% would sell to their management team; and the remaining 9% didn’t know or had other plans. The first step in succession planning is identifying your goals and objectives. The next step is developing a plan that achieves your goals and objectives without doing harm to the family or the business. Fundamental considerations include those listed here. Stability and good cash flow? Equal distribution among family members? Options for keeping the business in the family include transfers as outright gifts, gifts in trust, private annuity, Grantor Retained Annuity Trust (GRAT), Intentionally Defective Grantor Trust (IDGT), and Beneficiary Defective Inheritor’s Trust (BDIT). It may be appropriate to examine a spin-off with each child being given a separate business or division. It may also be appropriate to perform a simple tax-free recapitalization of the business so that voting stock (control) could be retained while nonvoting stock could be transferred. Keep in mind that valuation discounts may come into play, both minority and marketability discounts. The IRS may soon publish regulations limiting use of these discounts for transfers involving family-controlled entities; therefore, for those transfers currently being planned, it may be advantageous to finalize such transfers sooner rather than later. Options for selling the business include outright sale, partial sale, installment sale, Self-Cancelling Installment Note (SCIN), redemption, and Employee Stock Ownership Plan (ESOP). A family business owner may prefer a sale for reasons including: no leadership or entrepreneurial talent, irreconcilable conflicts among family and management, some family not in the business, liquidity needs, or lack of confidence in future of the business. Irrespective of to whom, when, and how it is to be sold, there are steps to get the business ready to sell, including maximizing the value of the business, maintaining good business records, obtaining non-compete and confidentiality agreements from key employees, and designing and implementing incentive structures. Consider including vesting and forfeiture provisions and linking the benefit to “x” years of service, the sale of the company, or some other performance variable. Options for transfer by charitable contribution include a Donor- Advised Fund (DAF) and split-interest vehicles such as a Charitable Lead Trust (CLT) and a Charitable Remainder Trust (CRT). While CLTs help cut estate and gift taxes, CRTs are primarily income tax planning vehicles. In summary, the succession process will guide you in gifting, selling and/or donating your business. Based on your goals and objectives, you will be able to develop a robust plan that is appropriate for both your family and your business. Content contributed by GreerWalker LLP, a Charlotte-based accounting and business advisory firm offering assurance, accounting, tax, and consulting services primarily to privately held middle-market companies, their owners, and their executive management teams, as well as a range of consulting services directed to publicly traded companies. 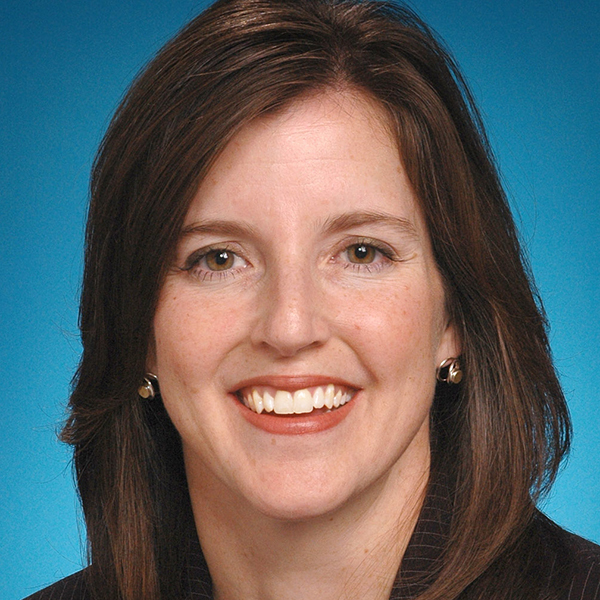 Content written by Sandi Thorman, CPA, Partner and leader of the firm’s Estate, Gift & Trust Planning Services. For more information, contact Sandi at sandi.thorman@greerwalker.com or 704-377-0239 or visit www.GreerWalker.com. Make 2016 the year where you keep an important business resolution. We suggest you focus your efforts on LinkedIn, for it’s a pretty safe bet that your prospects and clients are already there. Whether you are seeking a new position or looking to grow your business, there are several simple steps to take to reach these goals. 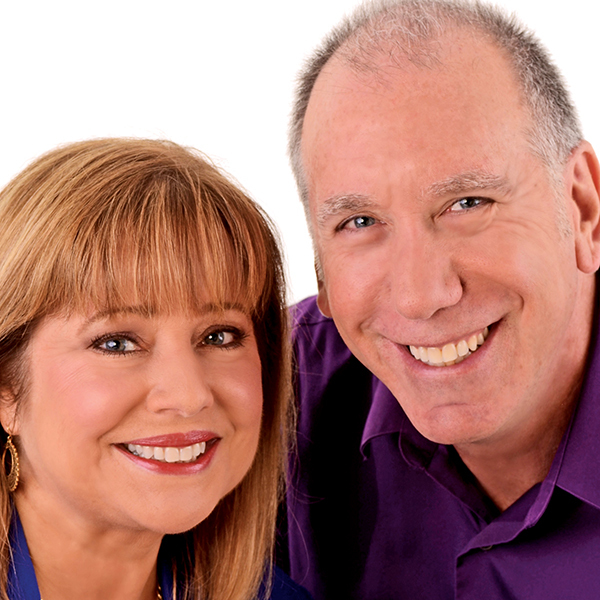 Get a new professional headshot that makes a great first impression. Use a solid, or preferably white background. Too many people have unflattering or inappropriate photos on LinkedIn. Enhance your personal brand with a background image. This really makes your profile stand out from the crowd. Update your contact information. It is really frustrating to call or email a connection to find that the phone number is incorrect and the email has bounced back. Add media of all different types. For example, add photos, videos, presentations, certifications, audio clips, etc. This makes your profile more searchable and offers the reader a greater understanding of you and your organization. Add optional sections to your profile such as Honors and Awards, Organizations you support, Publications, Projects, etc. These sections round out your profile by exhibiting to the reader who you are beyond your title and job description. Regularly check to see who has viewed your profile. These are potential new clients who might be checking you out. Keep in touch with your network by congratulating your connections on milestones in their life and career. Share an update on a regular basis to keep you top-of-mind with your network. Publish insightful posts about your industry that your connections would find of interest. Contribute thoughts and comments within your strategic LinkedIn groups on a regular basis. Set a goal of connecting with a certain number of prospects on a regular basis to expand your network and to develop valuable relationships. Advanced search is an area where you can set the parameters to search for people, jobs, articles, companies, and universities. If you are seeking to connect with CEOs in your region you can set the search to do so and come up with hundreds of results based on the size of your network. Save the searches you create to get notified of any new results on a regular basis. Keep up to date on the latest developments within targeted companies with little effort by following them on LinkedIn. Learn who is inside that company of interest who might be a lead for you or introduce you to a specific individual. Stay updated about jobs that may be of interest to you. Searching for a job this year? If so, then LinkedIn’s Job Seeker premium account may be right for you. This premium version presents you as a featured applicant when you apply for a job through LinkedIn. You are able to see salary data when searching for positions and have the ability to send 15 Inmails per month to recruiters or individuals inside organizations you are interested in. Power up your sales efforts with LinkedIn Sales Navigator. This version allows you to receive targeted leads and makes prospecting much simpler. It is possible to integrate Salesforce to create a seamless and more efficient experience. Seeking to grow your workforce in 2016? Find the right talent on LinkedIn with Recruiter Lite or Recruiter Corporate premium versions. Track candidate activity with smart notifications and automatic organization. Enhance your overall LinkedIn experience with Business Plus or Executive. This version includes additional advanced search filters as well as more saved search alerts. Your profile is displayed more prominently with a larger profile photo and background image. Make it a great year! Take 15 to 30 minutes each day to check your inbox, make connections, review connection requests, join and monitor groups and search for prospects or jobs. If you stay motivated and are consistent, you will see results. The United States is currently negotiating a number of “mega-regional” trade agreements with scores of countries around the world. Those agreements could open up significant markets for American companies. 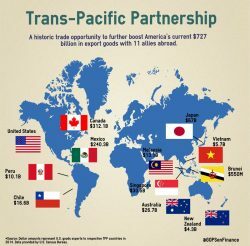 Most of Washington’s attention these days is focused on the Trans-Pacific Partnership with 11 other Asia-Pacific countries. But another mega-regional deal, the Transatlantic Trade and Investment Partnership (TTIP) with the 28 countries of the European Union (EU), is likely to mean more for the Carolinas. Here’s why. One of the best kept secrets in Washington is how companies actually work. Across the Pacific, they deliver goods and services mainly through trade. But across the Atlantic, they deliver goods and services mainly through investment. The Charlotte region has been a major beneficiary of this investment. Understanding this simple distinction helps us understand why the global economy still rests squarely on the shoulders of the transatlantic economy, despite all the chatter about the ‘‘rise of the rest.’’ Here are eight critical ties that bind Europe to the United States—and especially to the Carolinas. Production. American companies in Europe and European companies in America are among the largest and most advanced economic forces in the world and an important glue binding together the two sides of the Atlantic. The combined output of transatlantic affiliates—nearly $1.3 trillion—is larger than the output of most countries. Europe accounts for almost half of the global output of American companies operating abroad, and double U.S. corporate output in all of Asia. U.S. affiliate output in the UK is four times greater, and in Germany double, U.S. affiliate output in China. Meanwhile, European affiliates account for nearly two-thirds of all foreign affiliate output in the United States. German affiliate output in the United States roughly equals Japanese output and is greater than Canadian output. Jobs. America is the largest source of onshored jobs in Europe, and Europe is the largest source of onshored jobs in America. Fifteen million workers owe their livelihoods to robust transatlantic commerce. Most workers working for American companies outside the United States are European, and most workers employed by European companies outside of Europe are American. What’s more, on average those jobs pay better, and offer better benefits, than domestically-sourced jobs. Assets. Europe is the largest investor in the American economy, just as America is the largest investor in Europe’s economy. Europe accounted for 70 percent of the $2.8 trillion invested in the United States in 2013—most of it by firms from the UK, the Netherlands, France, Switzerland and Germany. Similarly, Europe accounts for roughly 60 percent of all U.S. assets globally. Knowledge and innovation. U.S.-EU flows in research and development (R&D) are the most intense between any two international partners. European companies account for over three-quarters of total foreign private sector R&D spending in the United States. American companies spend 60 percent of their global R&D in Europe. Europe and America are knowledge economies, and companies seeking competitive advantage are seeking that extra slice of knowledge that they can turn into an extra slice of profit. More often than not, they look across the Atlantic. Trade within the company. In the Pacific economy, trade is king; investment flows are secondary. In the transatlantic economy, however, investment drives trade—a sign of a deep and dense economic partnership. Most trade across the Atlantic, in fact, is conducted among two or more parts of the same company. It’s when BMW sends engines from its plant in Bavaria to its plant in South Carolina. It’s what makes BMW America’s No. 1 auto exporter by value. Over half of U.S. exports to Belgium or the Netherlands takes place because American companies are sending products to their affiliates in those countries. Without that substantial investment presence, trade would shrivel and American communities would suffer. Foreign affiliate sales. Everybody thinks of Germany as an export powerhouse. But German companies based in America sell far more than German companies export to America. European companies deliver goods and services to Americans primarily through the sales of their affiliates based in America, not through exports. In 2013, European affiliate sales in the U.S. of $2.3 trillion were more than triple European exports to the United States. The same is true for American companies. U.S. foreign affiliate sales in Europe are roughly half the global total, double sales in the entire Asian region, and more than total U.S. worldwide exports. Sales in the UK alone are double those in all of South America. Profits. The United States is the most profitable place in the world for European companies, just as Europe remains the most profitable region of the world for U.S. companies. In 2014, European companies earned $110 billion in the United States. And despite Europe’s recent economic struggles, American companies made more money in Europe in 2014 than ever before—$238 billion, a 6.2 percent jump. Europe—not Asia or Latin America—accounts for over half the global profits of U.S. companies. Services—the sleeping giant of the transatlantic economy. Most American and European jobs are in the services economy, which accounts for over 70 percent of U.S. and EU GDP. The U.S. and the EU are the biggest services economies in the world and each other’s most important commercial partners when it comes to services trade and investment. U.S. services exports to Europe reached a record $250 billion in 2013, and European services exports to the U.S. reached a record $186 billion, up 21.6 percent from the depressed levels of 2009. Moreover, American companies in Europe and European companies in America sell more than 2.6 times what they export in services to each other. Yet services sectors on both sides of the Atlantic are more protected than agriculture and manufacturing combined. Removing barriers to services through TTIP would be equivalent to 50 years’ worth of GATT and WTO liberalization of trade in goods and would be the most important international initiative to create jobs. These deep linkages across the Atlantic continue to be very significant for the Carolinas. All told, about 700,000 jobs are directly or indirectly related to the Carolinas’ commerce with Europe. Investment is the key. There is more European investment in North Carolina or South Carolina alone than total U.S. investment in China, Japan and India combined. Companies from the European Union account for 69 percent of global investment in North Carolina and 65 percent in South Carolina. They account for 76 percent of global investment in Durham; 70 percent in Charlotte; and 61 percent in Raleigh. In South Carolina they account for 88 percent of global investment in Spartanburg; 71 percent in Charleston; and 56 percent in Greenville. Trade is also substantial. The Carolinas exported goods valued at $13.8 billion to Europe in 2013. Europeans bought $7.4 billion worth of goods from South Carolina and $6.4 billion from North Carolina. Each state exported more than twice as many goods to Europe as to China in 2014. This translates into jobs. It also tells us what European regions are important to the Carolinas and to the Charlotte-Spartanburg region. For North Carolina, the top job-generators are companies from Brussels, Belgium; the southeastern German state of Baden-Württemberg, Germany; Paris, London and Dublin. South Carolina jobs are primarily onshored by companies from—surprise—Bavaria, but also from Baden-Württemberg, Paris, Brussels and London. For Charlotte the knowledge region around Oxford is also important, and for South Carolina the industrial companies of Germany’s Ruhr valley are also key. In short, transatlantic economic ties are strong and deep. But they still suffer from various barriers to investment, trade, and services. The TTIP negotiations are focused on clearing away needless or costly impediments to investment, trade and services. And since so many European labor, environmental and consumer standards are equivalent to American norms, TTIP is not about lowering standards, but repositioning Europe and America to maintain high quality standards together in a world of diffuse economic power and intensified global competition. The Carolinas stand to gain from such a 21st century partnership. This expert analysis is made possible by Shumaker, Loop & Kendrick, LLP, a full-service law firm with offices in Charlotte, North Carolina; Tampa and Sarasota, Florida; Columbus and Toledo, Ohio. 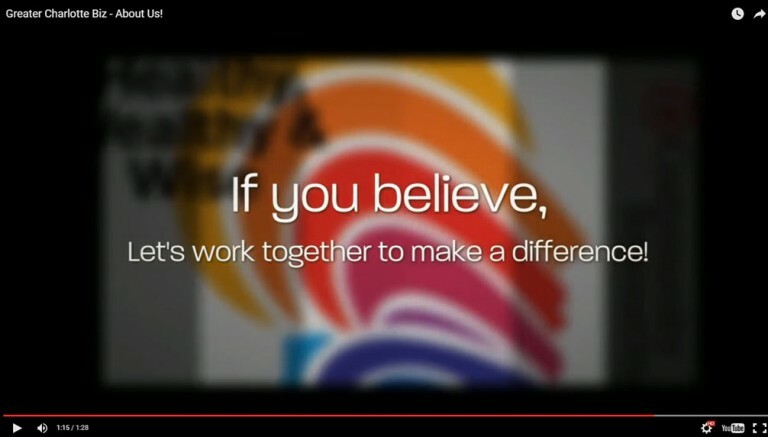 At Shumaker, “We think global. 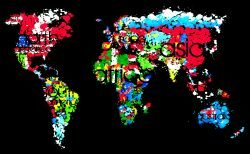 Our practice is relationship-driven; our goal is global reach with local depth.” For more information, contact David H. Conaway at 704-945-2149 or dconaway@slk-law.com or visit www.slk-law.com. Content written by Daniel S. Hamilton , Ph.D., Executive Director of the Johns Hopkins University Center for Transatlantic Relations; co-author with Joseph P. Quinlan of The Transatlantic Economy 2015. For more information, contact him at 202-663-5878 or dhamilt5@jhu.edu. Hamilton’s former positions include U.S. deputy assistant secretary of State for European Affairs, U.S. special coordinator for Southeast European stabilization and associate director of the Policy Planning Staff for two secretaries of State, senior associate with the Carnegie Endowment for International Peace and deputy director of the Aspen Institute Berlin; currently adviser to Microsoft, Business Roundtable and Transatlantic Business Dialogue; Ph.D., American foreign policy, SAIS. Click below to view the presentation! “Businesses big and small, domestic and foreign are investing in North Carolina for the same reasons they have been doing so all along — a healthy supply of workers despite very low unemployment, a favorable climate and location halfway along the East Coast, two international airports and industry sectors like IT, biotech and aerospace that are magnets for new investment,” Site Selection says in its May issue coverage of the Prosperity Cup. The nationwide 2018 Prosperity Cup is based on measures of state economic development activity in 2017 that include the total number of new and expanded facilities in the state, capital investment and number of new jobs created. It also considers measures of business-climate attractiveness. The award, which recognizes the most competitive state-level economic development groups, was presented to the North Carolina Department of Commerce and the Economic Development Partnership of North Carolina, which lead business recruitment efforts on behalf of the state. North Carolina has been a consistent leader in Site Selection‘s Prosperity Cup recognition, ranking No. 1 in 2018, 2017 and 2016. States rounding out the top five in this year’s Prosperity Cup are Tennessee (2), Georgia (3), Texas (4) and Michigan (5). The 2018 Prosperity Cup announcement highlighted, among other things, the state’s robust population growth and its success in attracting foreign direct investment. 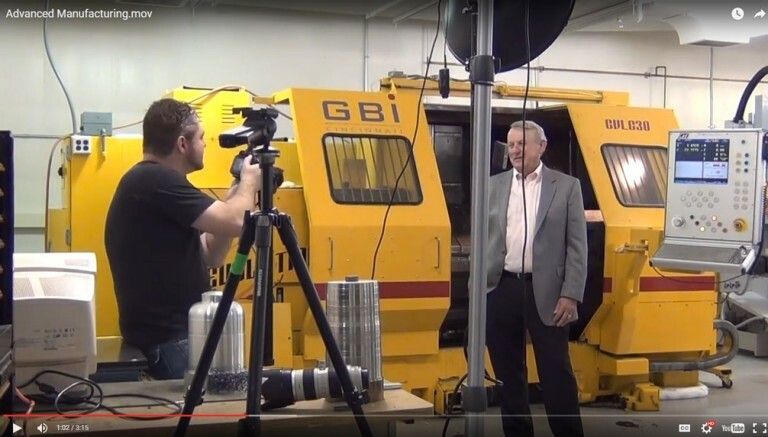 The magazine also stressed the state’s strengths in innovation and manufacturing, noting it ranked fourth in the nation in measures of appropriations for higher education as a portion of gross domestic product (GDP). High-tech business formation exceeds the national average by 23 percentage points, and the state’s manufacturing output (as a percentage of GDP) is the fourth-highest in the nation. Another North Carolina plus is its vast 58-campus community college system, which responds nimbly to growing companies’ specific requirements for worker training, the magazine says. The state’s community college campus network is the third-largest in the U.S.
For full coverage of the 2018 Prosperity Cup, visit Site Selection’s website. In what way has this region changed over the last 20 years? Ballantyne Corporate Park was created, developed and sold! We’re becoming a headquarters city! How would you describe where we might be 20 years from now? City-state: What was once a mid-tier city, has expanded beyond its confines to a region extending across state lines, and is well on its way to becoming a city-state extending across a 100-mile radius. The population has increased more outside of the city limits and even outside of the county limits, to what will eventually be a center city of Charlotte ringed by towns and cities outside of Charlotte and in South Carolina. 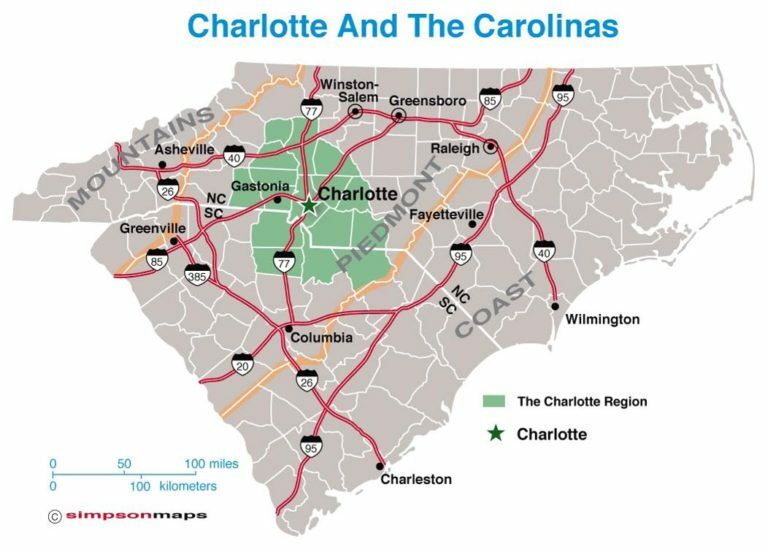 Charlotte will be the hub of a huge region and must plan for this with its roads and transportation. Charlotte will be a regional, cross border city-state and development will follow. Key Logistical Access to U.S. and Global Markets: The central location of CLT in the Southeast region becomes an even more important asset in the global era as a strategic location for entering and doing business in the United States, and strategic location for manufacturing serving both the U.S. and global markets given its proximity to the ports. Enhanced Air and Rail: CLT Airport will have grown from 93 gates and 3 runways to 175 Gates and 5 runways and a new tower. We will be a major logistics hub with daily train routes to the major ports—Wilmington, Charleston, Savannah, Norfolk and Jacksonville. Comprehensive CATS: CATS Light Rail will have a Blue line continuing from the city to UNCC, a Red line to Lake Norman, a Silver line running to CPCC Levine Campus in Matthews, Gold line CPCC Center City to Johnson C. Smith University, and a new line running from the city to CLT Airport. Get on the MLS Field: Major league soccer is important to Charlotte because of its draw on younger people and its international popularity. Facebook has announced that as of March 18th, it will begin live streaming soccer games. Charlotte’s participation is a NEW avenue for growth. More Mixed Use Developments: We will see a greater emphasis in the real estate development for mixed use communities, like the River District, combining commercial with residential embracing diversity and inclusivity. New Bridge from Gastonia to Charlotte: To accommodate the growth west of the airport, we will have completed a new bridge from Gastonia to Charlotte and new roads and intersections to accommodate both commercial and residential needs. A Medical School: We will have a four-year med school which allows us to take advantage of research money, innovation and technology enhancements. The med school will serve as the catalyst for a medical research and development hub for the East Coast. Every other city we are competing with has this. Accommodate and Engage Diversity, Promote Inclusivity: We will do a better job of accommodating and engaging our increasingly diverse population. For example, over 30% of our voters will be Hispanic in 20 years. Emphasize Quality of Life: Quality of life should remain uppermost in our planning efforts. 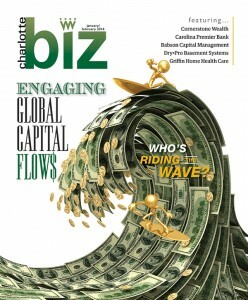 Increasing Foreign Direct Investment: Currently, Charlotte is home to about 1,000 foreign firms. With an extra effort, we can double that number in 20 years. Re-think Job Focus and Supporting Services: With technological innovation, we need to re-think and refine our focus on jobs and job training. Broadband Access: There is an increasing amount of evidence that broadband providers are providing better Internet access to their most affluent customers. We need to make sure high-speed broadband access is available across the CLT region. This will be critical to ameliorating the urban/rural divide as well as augmenting upward mobility, two of the region’s most significant weak points. Public School Teacher Pay: We need to reevaluate our teacher pay if we want to be a truly globally competitive city. When you compare where and what we are now, is the ‘personality’ of Charlotte what you expected? It is on its way. It is headed in the right direction. The foundation is laid. At the same time, we need a better vision for what we seek to become as we grow in our global economy facing continually aggressive technological change. The pace of technological advances will change the very nature of life and living on this planet. The nature of work will change as traditional jobs become more and more scarce. We need to become more knowledgeable about what the CLT region’s role is in the U.S. and in the global community. What are the most critical issues we face as a community now? And if not addressed, how will those challenges affect us? Does the leadership in Charlotte have a larger responsibility beyond crafting high quality commercial real estate projects and community planning? Yes, we need to get out in front of this growth and change and keep planning for it—CLT Airport plans, Regional Freight Mobility plans, etc. We need to expect and anticipate change. We need to become more attractive to international investors, need more comfort with diversity. We want a place where brain-power is welcome and invited and engaged. If we want to live up to our potential to become one of the most significant city-states of this century, an enviable portal to markets domestic and abroad, this city needs to better define its goals and ambitions. Its citizens need to have a steadfast pride in what the city-state stands for and is trying to accomplish, so much so that every young person and business person in Charlotte becomes an ambassador for the city-state wherever they go or travel. What about Charlotte’s Upward Mobility? What role does future economic development play in that effort? Use local data to understand history, analyze current educational and economic outcomes, and identify gaps in the education-to-career continuum. Good planning requires good data. Communities should begin by disaggregating data, identifying outcome disparities across race, gender, family status, and wealth, and uncover root causes. Commit to a common vision for creating pathways to family supporting work that allow more individuals to build wealth and thrive in the community. This integrating vision should focus on the intersection of economic competitiveness and equity to create wealth in a way that lifts people up, particularly those stuck—generation-to-generation—at the lower-end of the income distribution. Seek out opportunities to participate in and learn from national, regional, or state-level initiatives and learning communities. There are communities across the region and within the state—including some of those included in this report— that are models of success, suggesting helpful policies and practices communities can adopt and identifying pitfalls they may encounter. Embrace planning and implementation practices that engage each part of the system: from individuals to institutions. Good planning requires attention to and engagement of the whole system; that means every level of the education system, small and large employers, and all municipal governments. Whole system engagement requires deliberate inclusion of historically marginalized communities. The places and people in the most extreme distress reveal system failures most clearly. Encourage large institutions and employers to take the lead in innovation and cooperation. To support a strong education to-career continuum that aligns with workforce needs, both higher education institutions and employers must be nimble, responsive to local needs, and have the ability to shift focus as economic opportunity shifts. Cultivate investment and assume potential in the emergent workforce. Communities with strong institutions and systems are ones where leaders act on a belief that talent is everywhere in their community and invest in people to develop and unleash that talent. Free up resources to address gaps in the education-to-career continuum. In environments of scarcity, communities and institutions must have the courage to allocate resources to reflect the challenges identified on the education-to-career continuum. Too often, resources are siloed and spent based on historical habits, not aligned to a vision of the future. *Focus recruitment of businesses and jobs on those entities which pay wages that will lift workers to the next socio-economic level. Turn resources to targeted business sectors that will pay wages and/or salaries above the current average annual incomes. Of course, workers must be prepared to perform and the skill standards and levels that meet the needs of those companies. How can we advance our thinking and offer direction in these regards? One possibility is to establish a 501(c)(3) organization—a CLT Global think tank—to bring together the powerful critical thinking of business and educational leaders within the Carolinas with an ambition to envision a pathway to our future, publishing and disseminating thought pieces of seminal importance on a regular basis to the community at large. Another possibility is to produce a representative economic development brochure—handheld, comprehensive but succinct, attractive, super-informative—on behalf of all the economic development entities in the CLT global region that demonstrates our region’s superior potential for foreign investment and economic development—to bring all such entities fundamentally interested in advancing our region’s development to the attention of the nation and the international community and enable every person to become an ambassador of the region for world trade. North Carolina has an abundance of assets, resources, and advantages relative to neighboring Southeastern states. The State of North Carolina is consistently identified as among the best business climates in the U.S. having ranked as one of Forbes’ top 5 Best States for business for 10 consecutive years. The state’s success is fueled by a competitive tax climate, low business costs, a favorable legal and regulatory environment and the availability of skilled workers. In 2016, Forbes ranked North Carolina as the #2 Best States for Business. 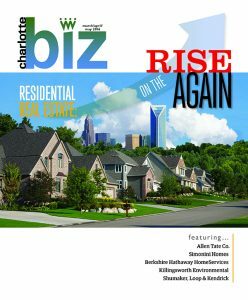 Site Selection magazine ranked North Carolina as the #2 Business Climate in 2015 and Chief Executive Magazine ranked North Carolina #3 as the Best State for Doing Business in 2016. Based on the tax climate in North Carolina, the Tax Foundation in 2016 ranked North Carolina with a 4 percent Corporate Income Tax Rate as the lowest in the Southeast. Ernst & Young in 2015 identified North Carolina as #3 in the nation for the lowest state and local business tax burden. In 2015, the Tax Foundation and KPMG ranked North Carolina #5 for the lowest effective tax rate for mature corporate HQs. In terms of low business costs, the North Carolina business climate was ranked by Forbes as the #2 state with the lowest business costs, 10.3 percent below the national average. Area Development magazine ranked North Carolina as #5 for competitive utility rates. The RSMeans Construction Cost Index identified that construction costs were 18 percent lower in North Carolina metros compared to the U.S. average. North Carolina offers low-cost labor in one of the largest and fastest growing markets in the U.S. As a right-to-work state with a perennially low union membership rate (approximately 3 percent during the last 10+ years), North Carolina has the second smallest union workforce in the U.S. in terms of percent of total employment. The U.S. Bureau of Labor Statistics rated NC as the #2 state for lowest unionization rate in the U.S. The resulting benefit is labor costs that are 11 percent below the national average—fourth lowest in the country. Area Development ranks NC as the #4 state for labor climate. Site Selection rated NC as #1 for workforce development. Recent tort reform and the strengthening and streamlining of business courts in NC have earned NC rankings among the lowest in the nation. The U.S. Chamber Institute for Legal Reform in 2015 ranked NC as the #7 state and the #5 state for the overall treatment of tort and contract litigation. Forbes ranked NC as #7 for the best regulatory environment. NC ranks among the highest in the U.S. for job creation from foreign investment projects. More than one out of every five jobs—some 1.2 million—in the state are related to international trade. About three out of 10 manufacturing jobs in North Carolina are supported directly or indirectly by foreign companies. Foreign direct investment has fueled much of North Carolina’s high-tech job growth, with $2.7 billion and 5,300 jobs generated from FDI in 2015, according to North Carolina Commerce Department, and will top those numbers in 2016. North Carolina ranks sixth in the nation for jobs dependent on direct foreign investment at more than 782,000. European firms have already had great success in the Carolinas—there is more European investment in NC than the total U.S. investment in China, Japan and India combined. Companies from the European Union account for 69 percent of global investment in North Carolina and 65 percent in South Carolina. 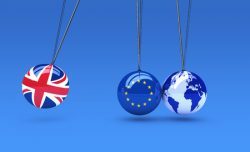 And as a result of Brexit and the disruption of the European Union, European businesses are increasingly looking for safe locations to expand their businesses. Economic transformation has evolved from an initial agricultural economy, to an industrial economy, to a post-industrial/mass production/service economy, and now to the knowledge economy. North Carolina offers outstanding public and private universities and colleges, among them UNC-Chapel Hill (as well as the other satellite locations), Duke University, NC State University, Wake Forest University, East Carolina University, Appalachian State University, Elon University and Davidson College—adding to the talent supply for NC businesses. The NC community college system ranks No. 11, while neighboring South Carolina comes in at No. 36. They offer specially designed programs in tandem with area businesses providing specialized workforce training, certification of skills, and classes for transitioning workers, and are especially valuable at developing a globally and multi-culturally competent workforce. Located midway between Boston, New York City and Miami, North Carolina is well situated to accommodate successful businesses, reaching more 60 percent of the U.S. population within two hours by air and 24 hours by truck. 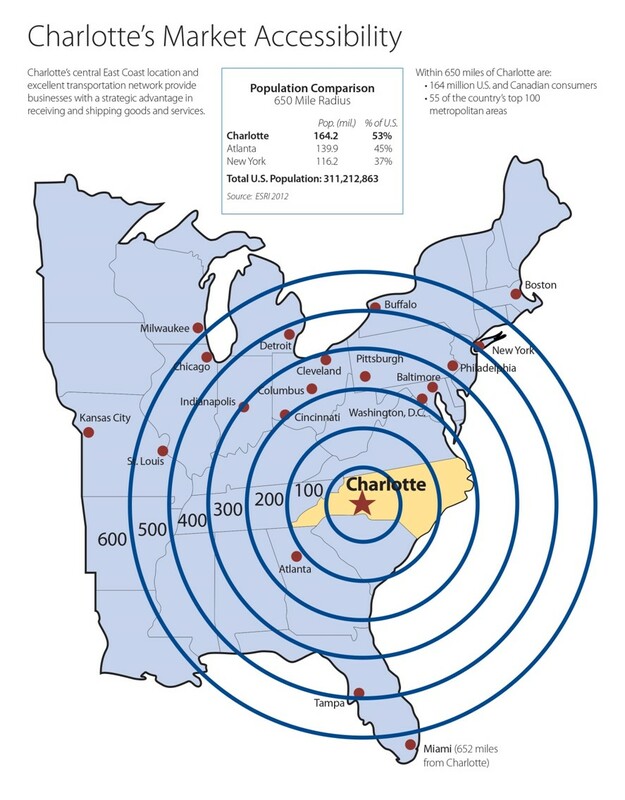 North Carolina is the only major distribution center midway between the Northeast, Midwest and Florida markets, as well as midway between Canadian and Caribbean markets. Within 650 miles of North Carolina are 164 million U.S. and Canadian consumers and 55 of the country’s top 100 metropolitan areas. North Carolina provides access to the world through non-stop destinations and one-stop connections through Charlotte Douglas International Airport (CLT), Raleigh Durham International Airport (RDU), as well as the Piedmont Triad Airport (GSO), the Wilmington Airport (ILM), the Fayetteville Airport (FAY) and the Asheville Regional Airport (AVL). The highway network in North Carolina is the second largest state-maintained system in the United States. Operating within its borders, North Carolina has access to two Class 1 railroads, Norfolk Southern and CSX, carrying freight across the entire Southeast region of the U.S.
North Carolina provides a real advantage to manufacturers in access to five major ports from any point within the state. 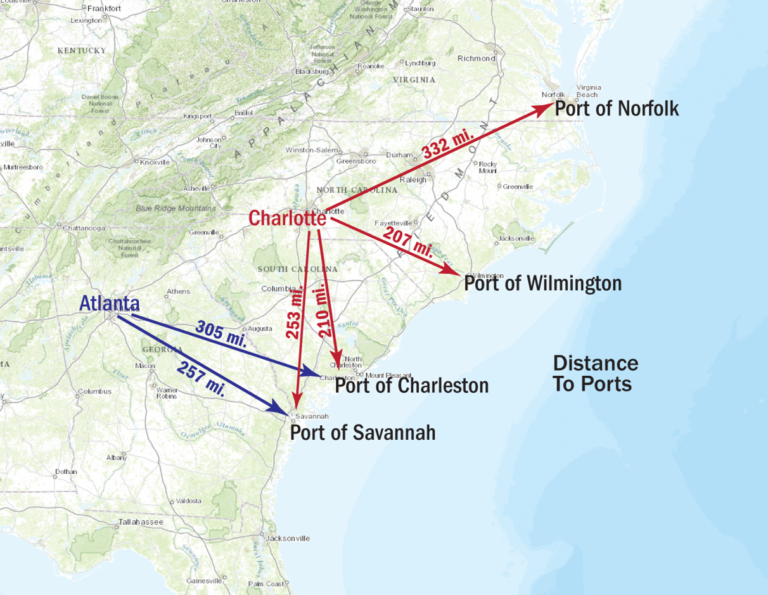 Besides direct access to the Port of Wilmington and the Morehead Port, manufacturers can easily ship through the ports of Norfolk, Charleston, Savannah and Jacksonville as well. These connections provide shippers with choices of shipping lines and options for shopping when costs are escalating as ships grow bigger and shipping lines consolidate. Both CSX and Norfolk Southern maintain and operate intermodal centers in the state of North Carolina facilitating transport of raw materials and finished goods to and from Southeast ports. Norfolk Southern’s Charlotte intermodal center has a potential capacity of over 500,000 containers and CSX is in the process of constructing a new intermodal center outside of Rocky Mount that will be even larger. Electricity and natural gas at competitive rates that are much less expensive than in many locations around the world. The significant presence of various branches of the armed services offer numerous contracting opportunities for North Carolina businesses. Currently, there are eight military bases in North Carolina. There are two coast guard bases. The United States Army, Navy and Air Force all have at least one base in North Carolina, while the Marine Corps has three. 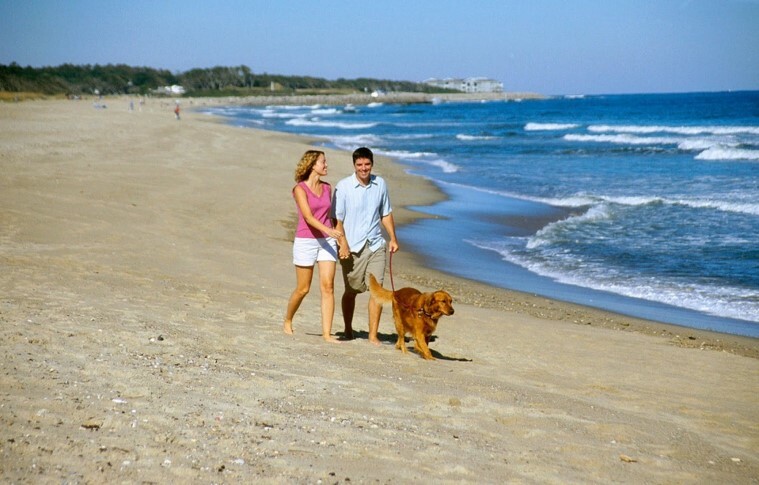 North Carolina also provides the highest quality of life for employees and families with easy access to Atlantic Ocean beaches and the blue ridge mountains. North Carolina continues to suffer some unique economic and political weaknesses which have impeded its opportunity to compete with neighboring states exhibiting a high-degree of success recruiting businesses from within the United States and from foreign direct investment. been slow to recover. Having been decimated by the Great Recession and its stress on financial services even before it had recovered from the 2001 recession, it also experiences periodic catastrophic losses from hurricanes and coastline erosion. In was reported by the NC Justice Center in 2016, that after nearly four years since the formal end of the Great Recession, rural North Carolina is experiencing a very different recovery than the state’s urban areas. Instead of replacing the jobs lost during the recession, rural parts of the state are continuing to experience job loss, while at the same time the state’s metropolitan and micropolitan areas have experienced employment growth. Metropolitan areas within the state saw a 5.6 percent increase in employment levels since the end of the Great Recession, with the small cities in the state’s micropolitan areas not too far behind at a 4.9 percent increase. At the same time, rural areas saw their total employment drop by 13.5 percent, suggesting that workers left rural communities in droves and moved to the state’s cities to find employment. A major factor behind this shift from rural to urban employment involves the long-term trend away from manufacturing employment and towards service employment. 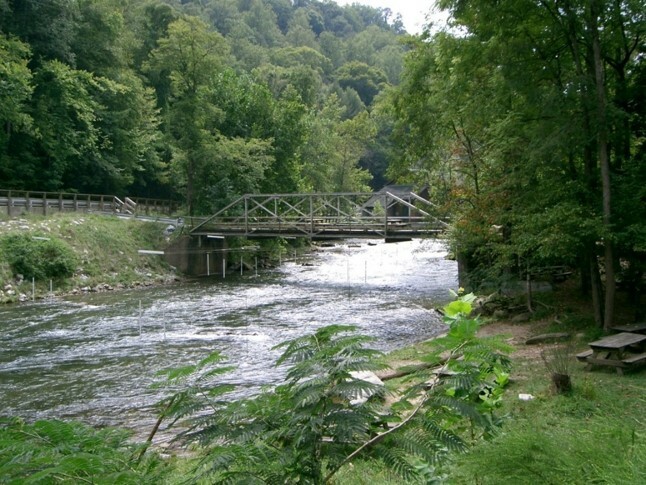 Historically, North Carolina’s rural counties have depended on the manufacturing sector to provide the bulk of its employment opportunities, so as rural manufacturing declined due to global economic restructuring, rural workers were faced with a transition to service industries—generally low-skilled and low-wage, especially Leisure & Hospitality and Retail—and overall shrinking job opportunities. The conclusion of the Great Recession did not create a positive turnaround for residents in rural North Carolina; instead, it marked an even greater depression for the rural economy. 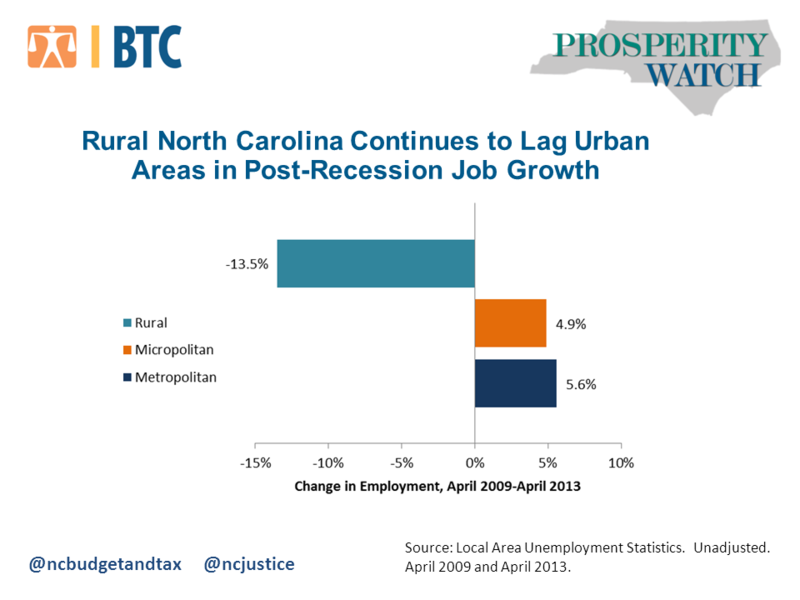 Without the creation of more manufacturing jobs, comprehensive economic restructuring in these rural counties, and skills training for a 21st century economy, residents of rural counties in North Carolina, along with other southeastern states, will likely continue to face the hardships of job loss and economic depression. In both urban and rural areas, there’s a sense that the jobs of the future will require more education and training than the jobs that traditionally helped provide a comfortable, middle-class lifestyle for North Carolinians. Thus, North Carolina suffers from a significant urban/rural divide. The urban/rural divide is most evident across the rural areas, manifesting itself in abandoned factories and a depressed mood. With only very little success, these communities are not encouraged by growth elsewhere in the state. Left behind, rural counties are angry with the status quo. It is not surprising, therefore, that even with state coffers slowly recovering and economic growth occurring in urban centers, state legislatures are reluctant to fund economic development incentives that serve urban interests over rural needs. After 20 years, Republicans took control of North Carolina’s government in 2013, garnering both the governorship and a super-majority of the general assembly. As a result, significant changes were made to NC state government, including a substantial makeover to the NC Department of Commerce, which took until late 2014 to be approved and into 2015 to be fully operational. With the upheaval in the state’s economic development arm and political leadership, there has been an increasing incidence of losing economic development opportunities to neighboring competitive states. In recent years, South Carolina, Georgia and Virginia have successfully landed competitive bids including Boeing, BM, Porsche, Mercedes Benz, Volvo, International Harvester, Giti Tire, Michelin, Costar and many others. Even with repeal of HB2 on March 30, 2017, its impact has challenged recognition of North Carolina as a more modern, progressive southern state. Since March 2016, NC suffered the very public and substantial reaction to HB2 legislation and the primarily negative impression it has brought to NC both nationally and internationally. This was only magnified because of the contentious presidential race and North Carolina’s status as a swing state. North Carolina will continue in the national spotlight with all the dissension over HB2 and the legislative and judicial fallout. In many cases, directly as a result of HB2, NC was not and will not even being considered when companies are seeking new business locations or operations. It is currently estimated that NC has lost as much as $630 million (Forbes) in business development as a result of the debacle, including business expansions into the state, anticipated relocations to the state, sporting events, entertainment events—the list goes on. Considering recent NC budget surpluses (a record $552.5M this fiscal year ending June 2017, up from $425M last year), North Carolina is positioned to step forward and compete more aggressively. Business recovery is healthy in urban areas and future opportunities are abundant. Population growth and inbound migration from other states continues. In fact, population growth in NC is expected to be over 71 percent over the next 25 years. Lower NC tax rates offer lower costs for doing business and a greater opportunity to compete with neighboring states with lower state tax rates. New intermodal centers by Norfolk Southern in Charlotte and CSX in Rocky Mount offer greater logistical support and distribution opportunities and other locations. North Carolina Ports continue their post-Panamax preparation, ordering two New Panamax ship-to-shore cranes as part its plan to invest $120 million over the next few years to accommodate a majority of larger ships transiting the Panama Canal, and a 101,000-square-foot cold storage warehouse. Telecommunications remains a state priority with Charlotte and the Triangle having been designated Google Fiber cities and NC continuing its high-speed broadband initiative into rural areas. An FCC Commission report shows that 93 percent of North Carolinians have broadband access compared to an average of 90 percent of people nationwide—but rural areas lag behind the state’s cities. North Carolina continues to be a participant in international trade activity. International trade, including exports and imports, supports 1,232,100 NC jobs—more than 1 in 5. Trade-related jobs grew 3.4 times faster than total employment from 2004 to 2014 and are at large and small companies, on farms, in factories, and at the headquarters of NC globally engaged firms. NC exported $31.1 billion in goods and $18.8 billion in services in 2014, including pharmaceuticals & medicines, aerospace products & parts, semiconductors & components and travel services. Of NC’s 10,582 exporters, 87 percent are small- and medium-sized companies with less than 500 workers. It is valuable to understand the potential of international commerce activities. Over 80 percent of purchasing power is outside the borders of the United. More than 92 percent of business growth occurs outside the borders of the United States. Over 95 percent of consumers are outside the borders of the United States. This data affects U.S. commerce as well as U.S. agriculture. All of NC’s major universities offer increasing opportunities for research partnering with private industry. The new administration has asserted a focus on improving business conditions, offering the promise of more growth and development, and the creation of jobs alongside that growth, including an expansion of funding for infrastructure across the country. Poverty in NC has either climbed or stayed steady from 2007 to 2014 with only modest improvements in 2015 and 2016 despite economic recovery, and in the highest quintile in the nation, with the highest poverty rates all in rural counties. To the extent NC leaders enact policies that compound these economic and labor market disparities, it will exacerbate the urban/rural divide. NC’s political bottlenecks to economic development continue as the governor and state legislature continue their standoff, awaiting judicial decisions. As a result of NC’s economic development impasse, competition from other states continues to be a significant threat as South Carolina, Georgia and Virginia provide more attractive economic incentives. To the extent of the HB2 continuing fallout, the ability of NC to attract new businesses, expansions and foreign direct investment may continue to be hampered, as well as the state’s ability to attract business talent. NC budgets will inevitably be periodically reduced by unexpected spending on natural disaster relief. Expectation of impending recession, especially after such a long, sustained recovery since 2010, looms. The new administration may disrupt international trade opportunities which may slow the growth of business development. The entire Southeast region continues to show economic strength, as well as nation-leading population growth, and these two factors are making the region ripe for economic development and investment. North Carolina has one of the fastest growing populations (9th in the nation, now over 10M) as well as the fastest growing economy in the country. It is clear from our strengths that North Carolina has huge potential for growth and economic development and is, in fact, the best place for business and investment in the Southeast. It is equally clear that the state’s economic development activities have become disrupted by politics and its economic incentives less competitive than those of other states. It is imperative that North Carolina seek and take advantage of economic development opportunities to remain globally competitive and essential that community leaders become knowledgeable ambassadors of economic development, stepping into the void and reaching out to connect interested parties with valuable opportunities. Community businesses and business leaders who choose to actively participate should experience increased opportunities for business development themselves and perhaps be able to bridge the urban/rural divide even more successfully than state authorities. The time is ripe to create a network of knowledgeable leaders interested in attracting business and investment to North Carolina, armed with a heightened awareness and knowledge of the state’s economic development opportunities and the tools to communicate to clients and prospects the opportunities in North Carolina. It is time to enlist key leaders, engage their participation and focus their efforts to attract business entities seeking the best state for location or investment in the nation. 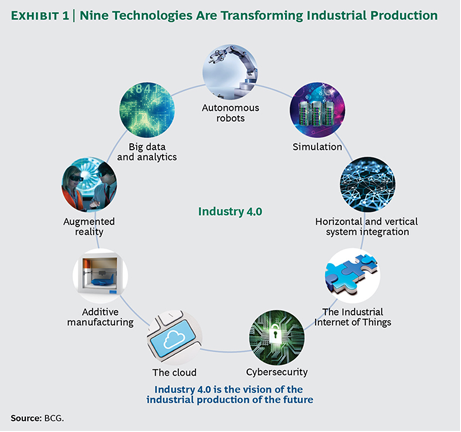 as use science, technology, engineering and math to transform industrial production to Industry 4.0. There are opportunities to enlist everyone interested in becoming ambassadors for business growth and development. The NC story is a strong one. There are amazing opportunities for growth and recovery into every region and every community. This map shows the estimated net immigration (inflows minus outflows) by origin and destination country between 2010 and 2015. Blue circles = positive net migration (more inflows). Red circles = negative net migration (more outflows). Each yellow dot represents 1,000 people. Hover over a circle to see that country’s total net migration between 2010 and 2015. Click a circle (or tap the circle twice on mobile) to view only the migration flows in and out of that country. The data for this map comes from the U.N. Population Division, more information on how it was calculated at the bottom of the post. Lately, I’ve found a similar principle applies to immigration. No matter what topic is being discussed online, if the conversation goes on for long enough, someone will inevitably tie it back to immigration. Immigration has always been an important and frequently debated issue. And for many current events, the connection with immigration is clear, for example: terrorism / ISIS, the Brexit, Donald Trump and this year’s presidential race, the refugee crisis. But at some point in the last year or two, I started noticing immigration being mentioned in connection with all sorts of topics I would never have expected. 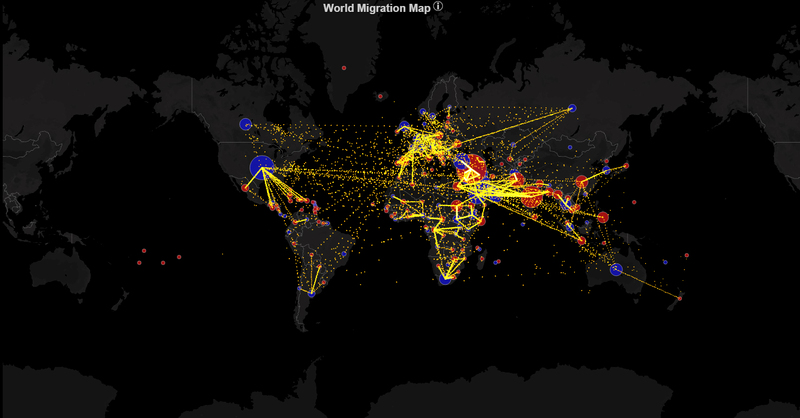 Who is migrating from where to where? For a topic that comes up as often as immigration, I’ve found the debate to be really lacking in factual information. Hopefully, this map is helpful is clearing up at least the simple, basic statistics: how many migrants are there? Where are they coming from? And where are they going? Please keep in mind, these numbers are only estimates. You can find the full details of how they were calculated at the bottom of the post. That said, here are a few of the pieces I found interesting. Between 2010 and 2015, the net migration from Syria to Sweden was more than Syria’s net migration to the rest of Europe and the Americas combined. Many Middle Eastern countries have been criticized for allegedly accepting few Syrian refugees. In Qatar and the UAE, the net migration appears to actually be negative. Though of the Middle Eastern countries that are accepting Syrian refugees, the numbers they are dealing with are orders of magnitude higher than in the West. In the Brexit debate, the loudest arguments in favor of leaving the EU have been about immigration. What strikes me as interesting is how small a portion of the UK’s net immigration is actually coming from Europe. Australia, another country where immigration has become a highly charged political issue, jumps out as an interesting case. By these estimates, Australia’s net immigration is negative with every country in the world, except for a small positive immigration balance with Sudan. Australia is the only country in the world to have significant positive net immigration with the US. Last month, I posted a map visualizing 200 years of US immigration (inflows only). I would have liked to do the same with US emigration, which may be the more interesting direction since it is not nearly as well known. Unfortunately, the US does not keep good emigration records and the best data I’ve managed to find goes back only a few decades. So, I don’t foresee being able to make a historical US emigration map. Still, I think it’s pretty interesting to see what US net immigration flows look like in the present. As mentioned above, according to these estimates, the US has significant positive net immigration with only one other country, Australia. The country with which the US has the largest negative net immigration is, perhaps unsurprisingly, Mexico. Though the amount by which Mexico leads is down substantially compared to a decade ago. Illegal immigration, in particular, has fallen off sharply, as demonstrated by this time series of border apprehensions from Pew Research. When US immigration is viewed by region, the area that really stands out is Asia, which now accounts for just as much US immigration as North + South America (Mexico included). Immigration between the US and Mexico is particularly complex since it involves both legal and illegal immigration as well as temporary laborers, deportations, and a large number of people living in immigration detention facilities. For that reason, America’s true net migration with Mexico is uncertain, and may actually be much lower than what’s shown here. If you believe Pew’s estimates, net migration with Mexico is now actually negative: more people are migrating from the US to Mexico than vice versa. Wherever you stand politically on immigration, you have to admit, it’s pretty strange how rarely basic stats like these enter the debate. For all the discussion in the US about border fences and immigration limits, the simple question of “how many immigrants are there?” hardly ever even comes up. Public opinion about immigration was likely a deciding factor in Britain’s decision to exit the EU. And it may very well determine who becomes the next US president. Yet the majority of Brits and the majority of Americans misestimate the size of their country’s immigrant population by a multiple. Positioning the Charlotte Region for the next 50 years!